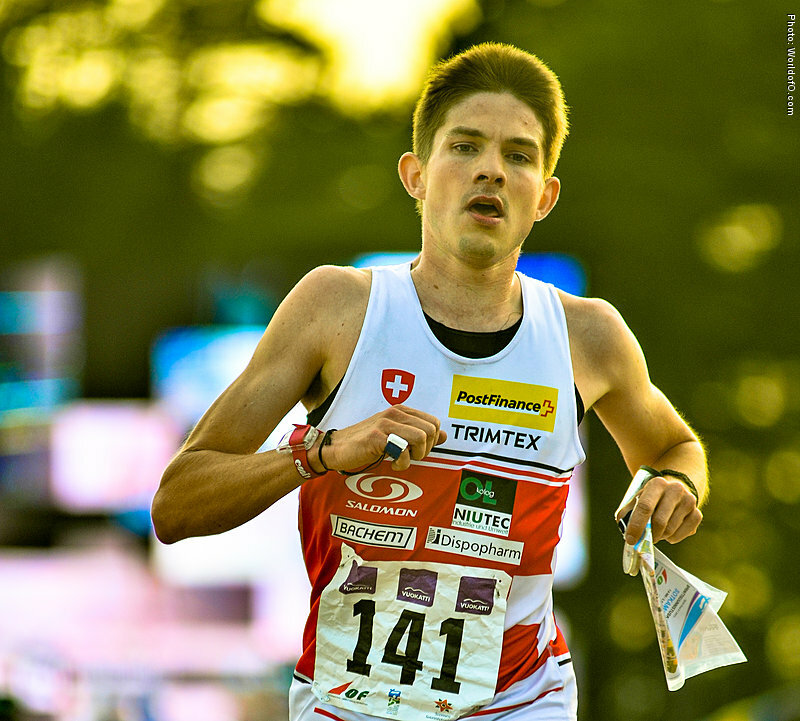 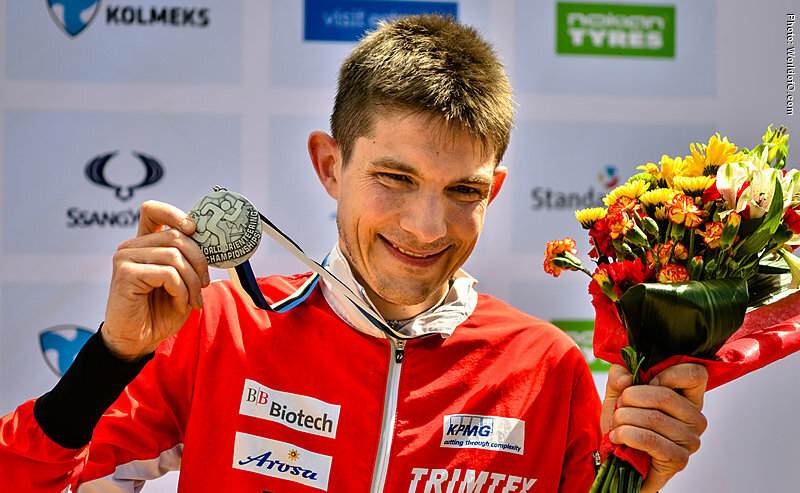 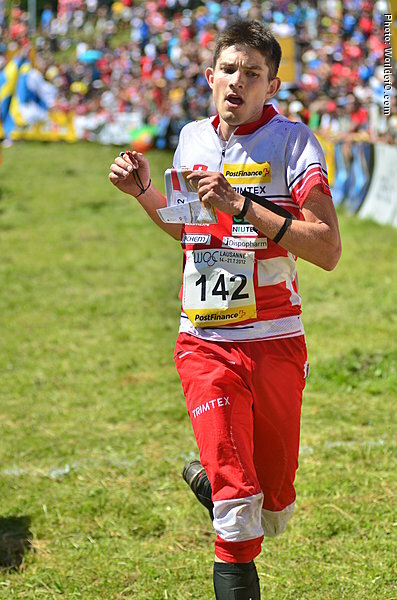 Fabian Hertner's best individual result as of June 2017 are silver medals from WOC Middle 2014 and WOC Sprint 2009 and 2010. 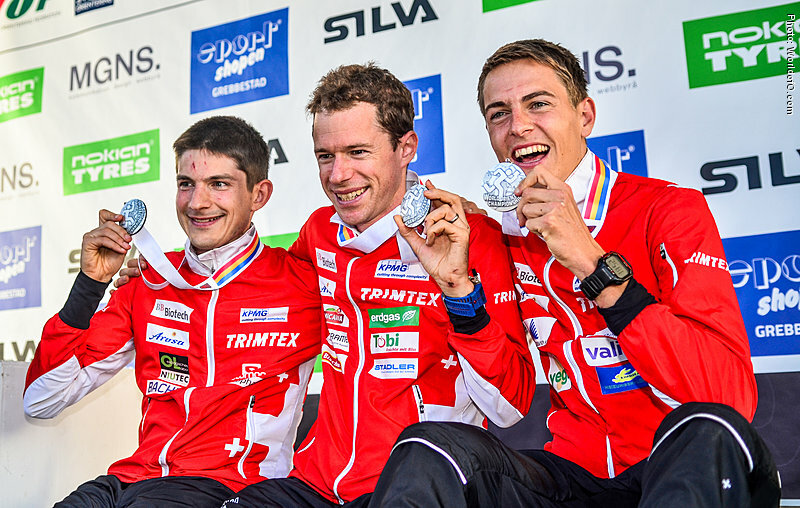 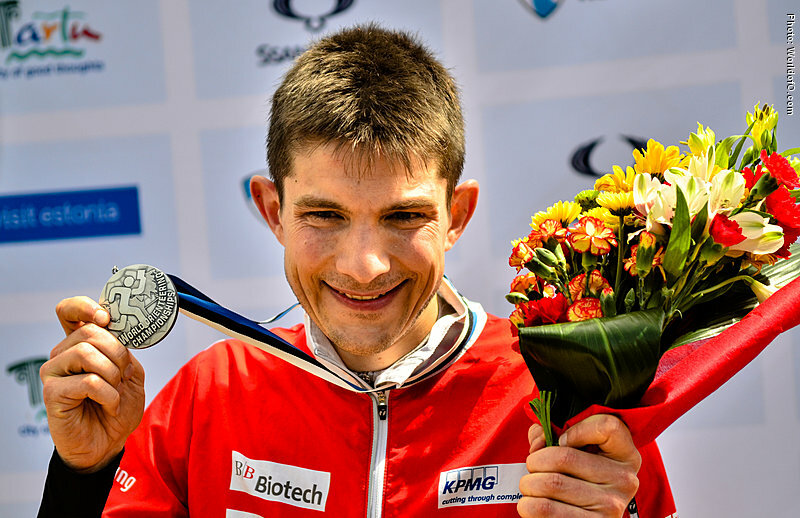 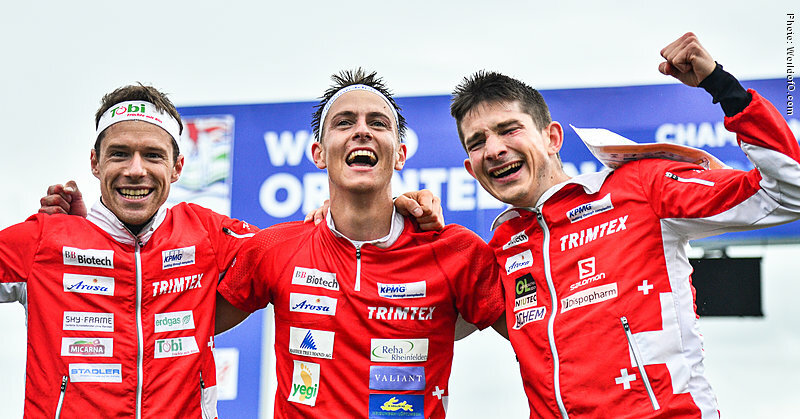 As of June 2017, Fabian Hertner has won 7 WOC medals, of which 1 is a relay gold medal from WOC in Scotland in 2015. 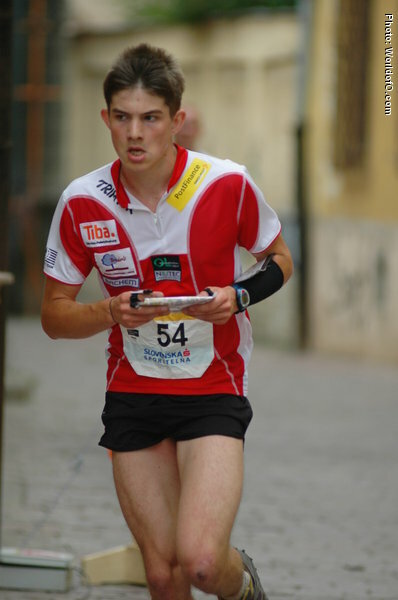 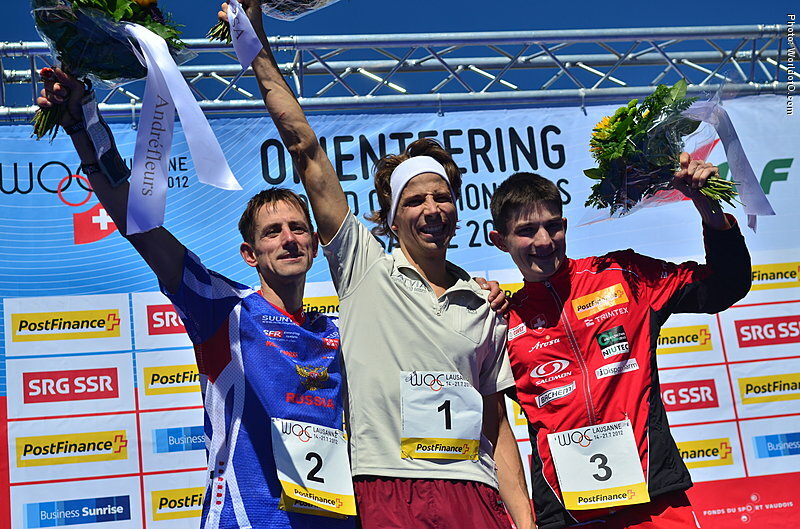 In addition he has won one individual EOC gold medal (sprint, 2010) and 3 additional EOC medals. 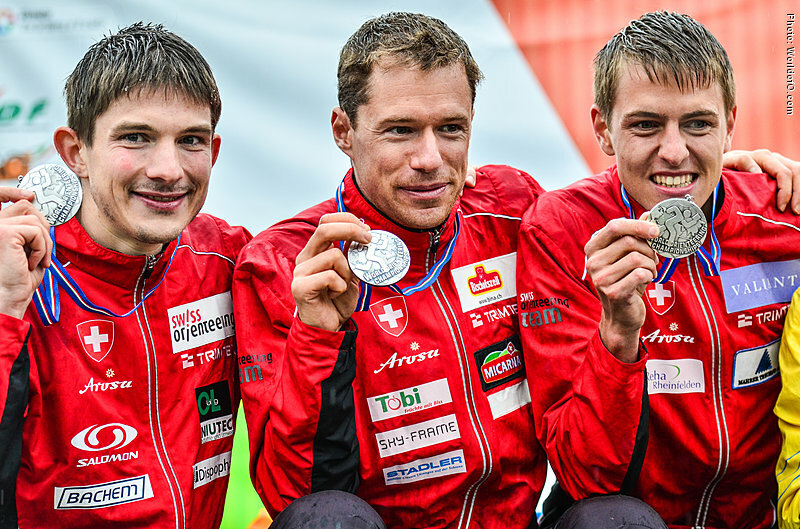 Over the years Hertner has showed very stable results - during the World Championships between 2009 and 2014 he was never ranked worse than 5th in any discipline, of those 4 silver medals! 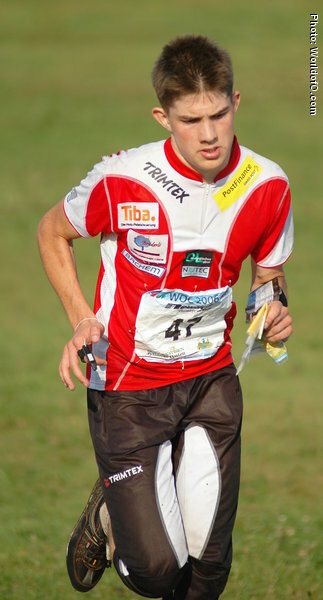 Stepped up as one of the top Swiss runners behind Daniel Hubmann with his silver medal in sprint at WOC 2009 in Hungary and established himself at the top in 2010 as he challenged Hubmann several times - especially on the sprint distance - winning the sprint in the European Champs in Bulgaria, where he also won the relay and performed strong with a 3rd place at the long distance. 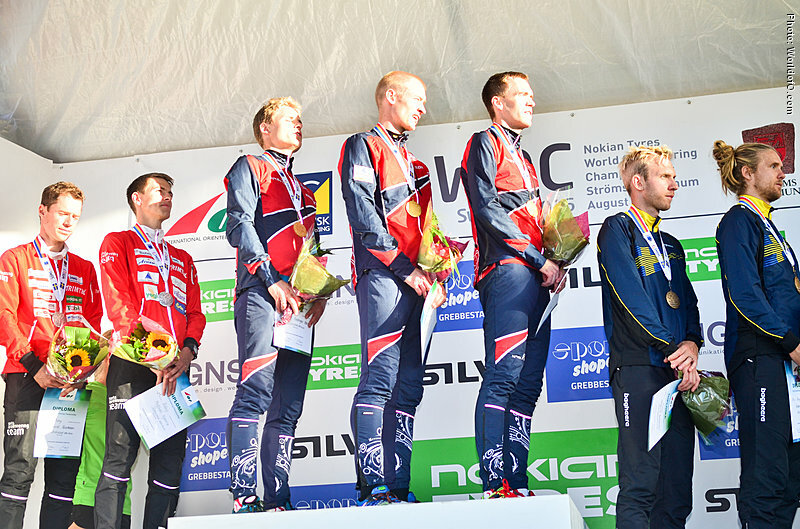 At the WOC in the same year in Norway he continued as strong winning a silver medal in sprint - after having drawn a close to perfect copy of the sprint map in advance. 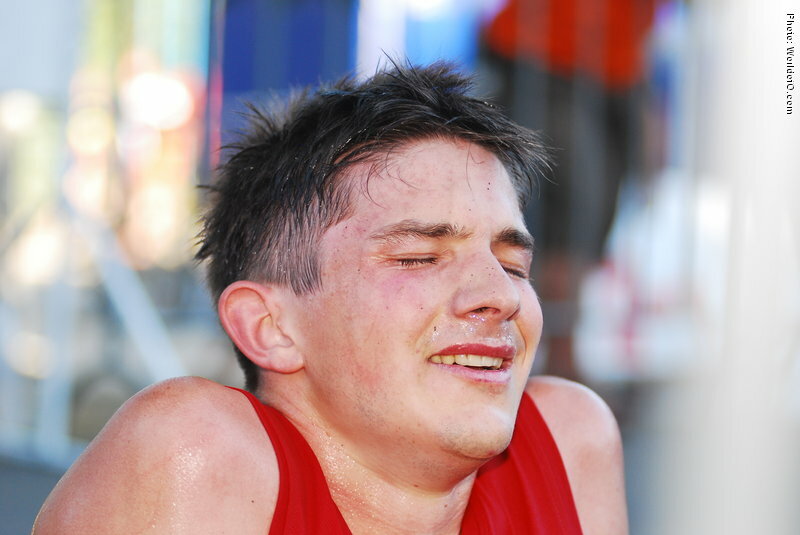 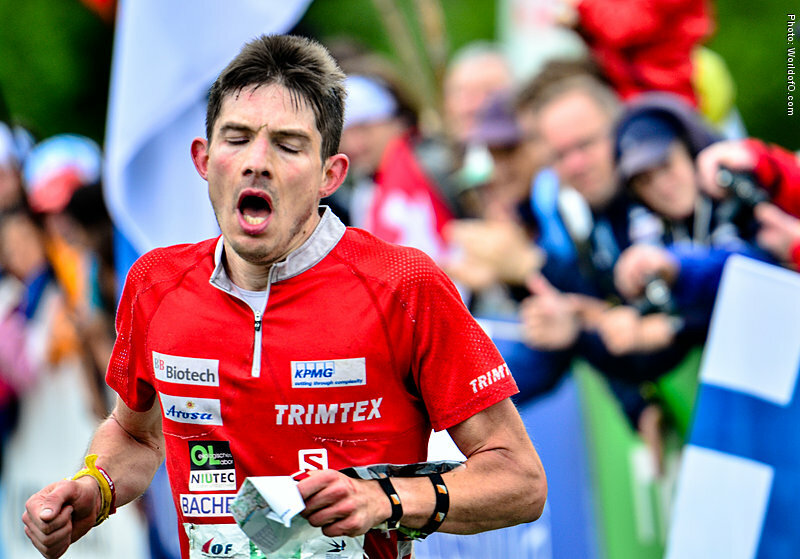 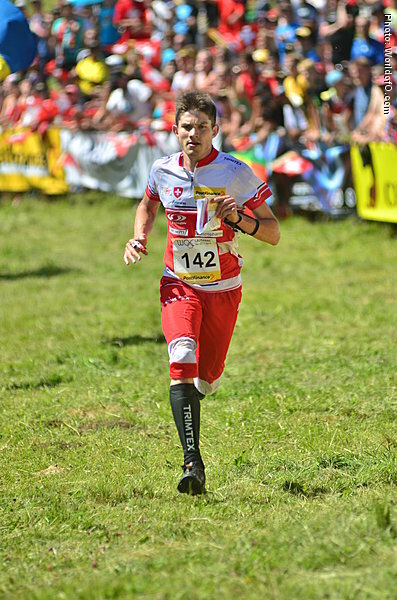 With an injury during the long distance at the same WOC - he smashed his knee - his rush to the top suddenly stumbled. 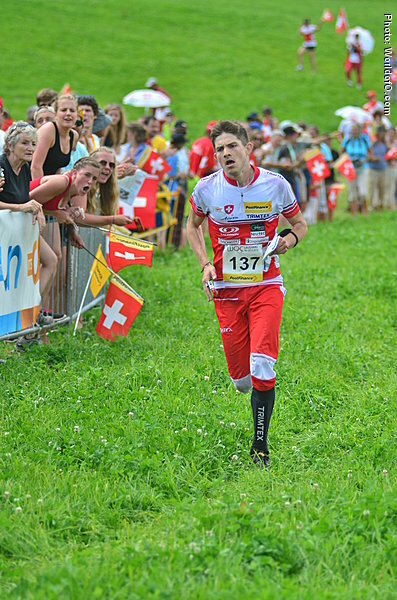 It seemed like the gap between him and the steady teamleaders Hubmann and Merz he was about to close, re-opened for the entire next season. 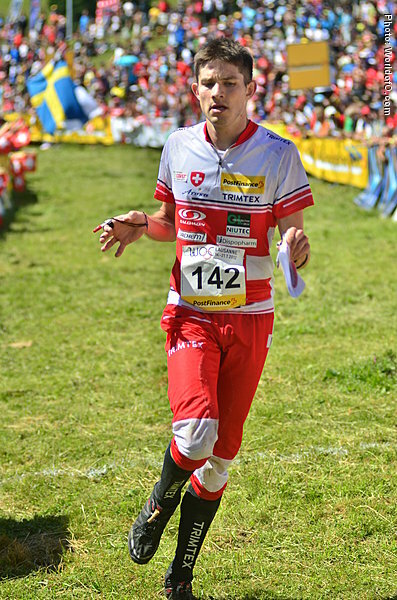 For the WOC 2011 he only got selected for the relay - even if taking two 3rd places in the first World Cup races of the year. 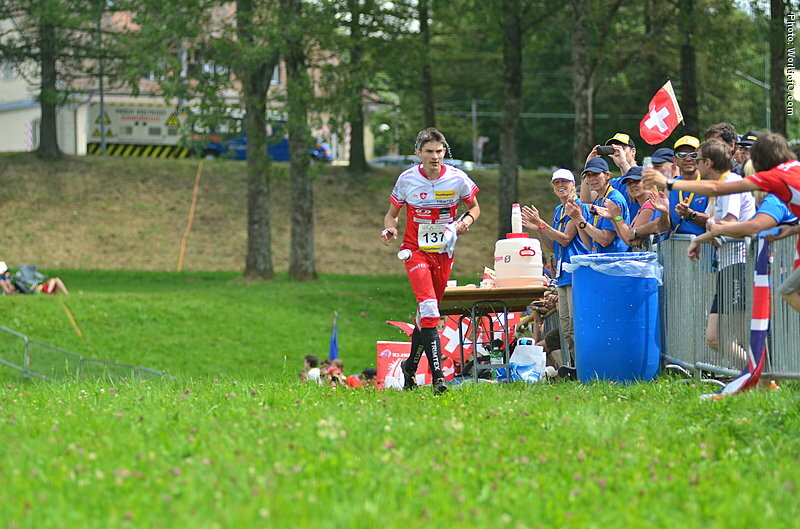 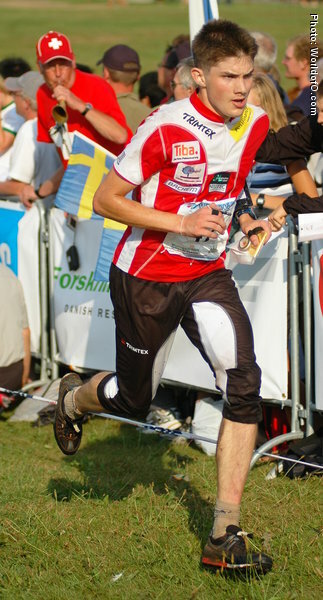 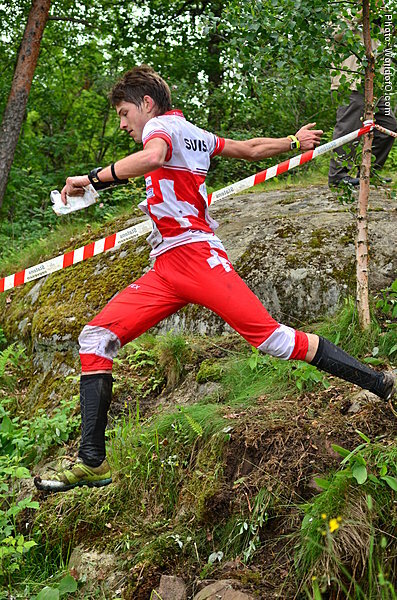 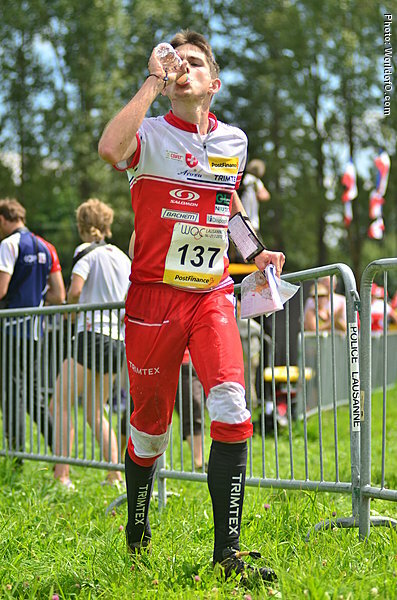 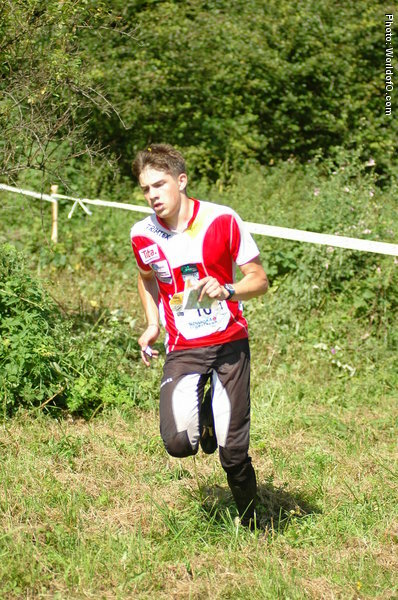 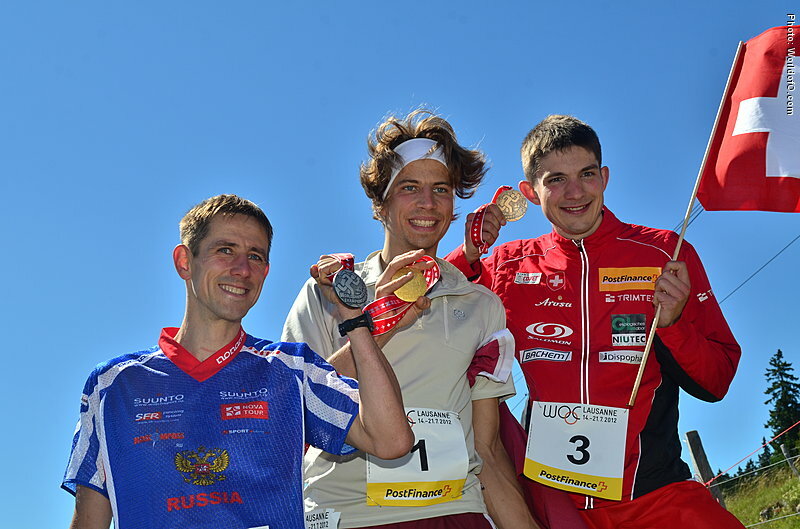 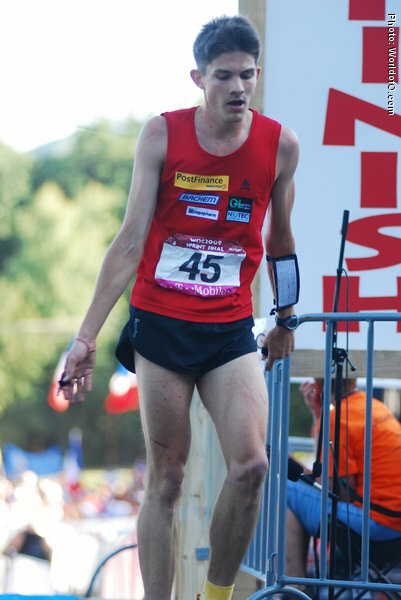 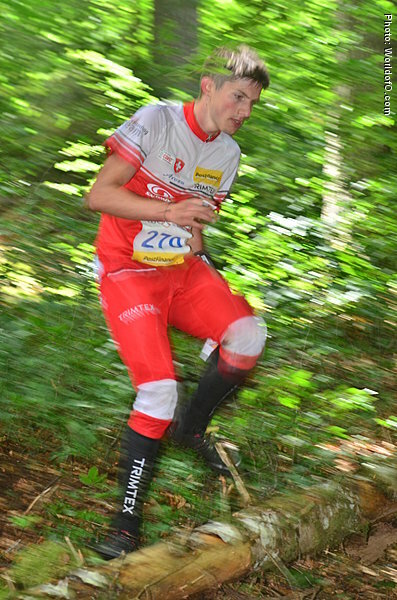 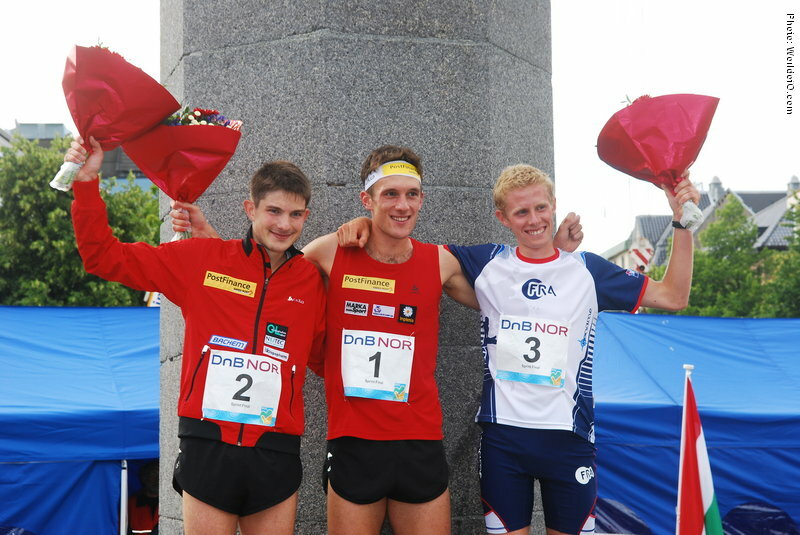 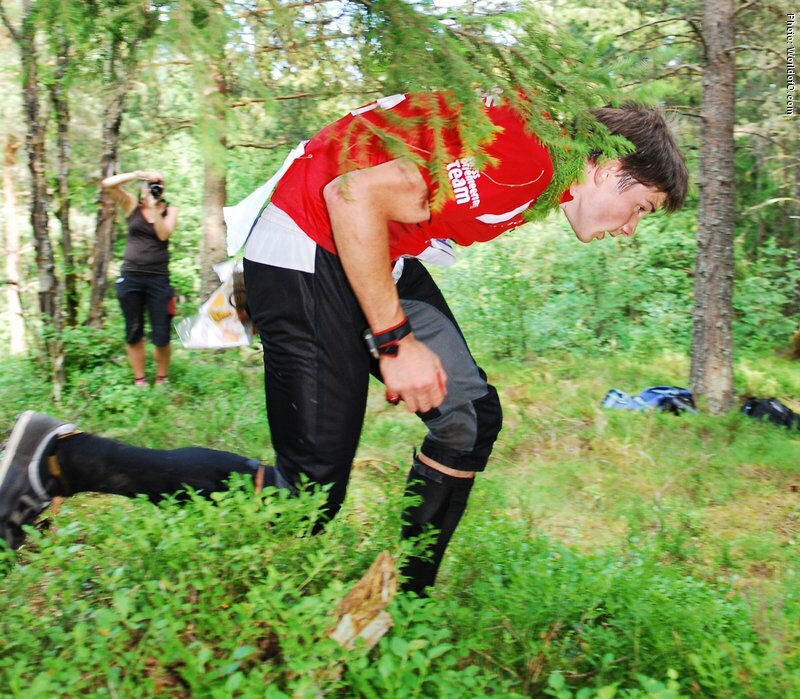 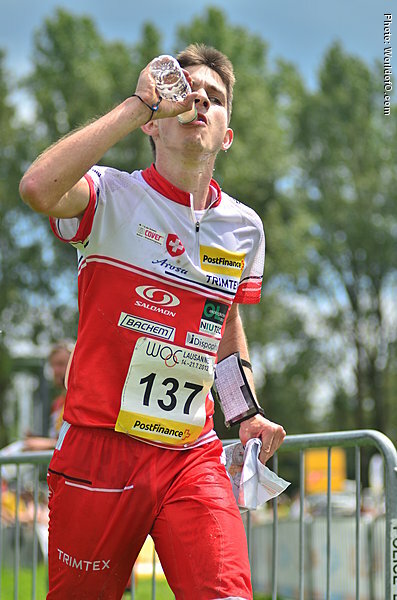 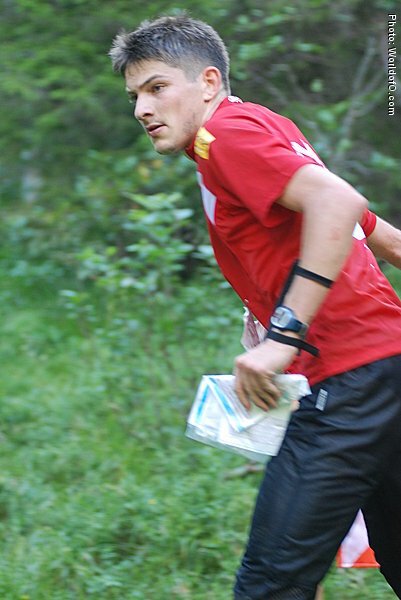 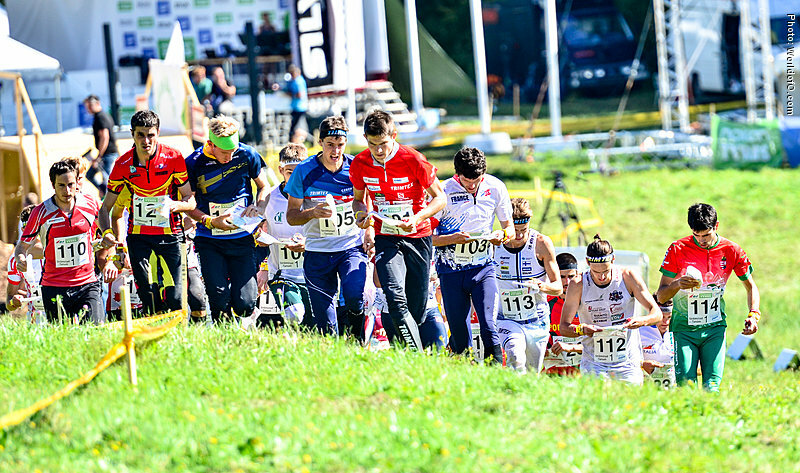 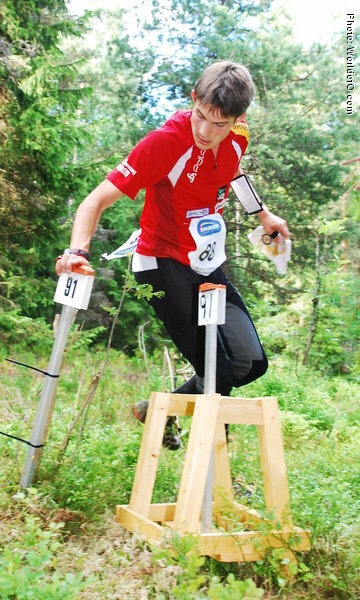 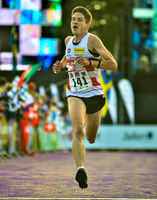 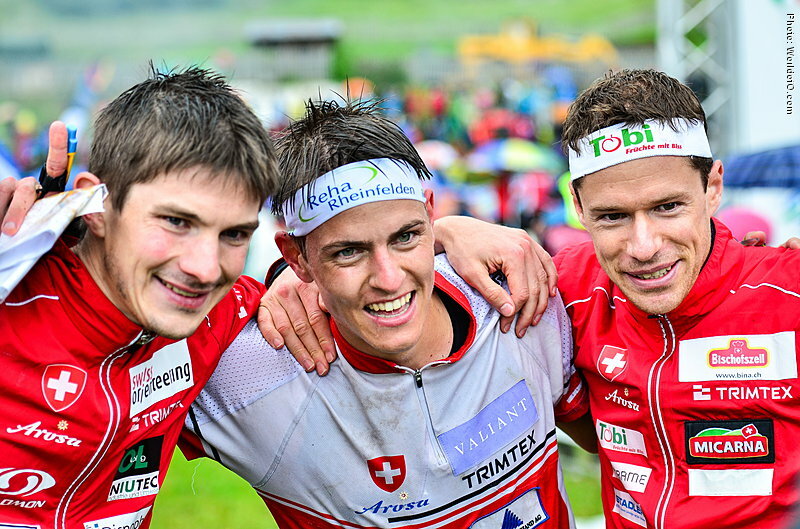 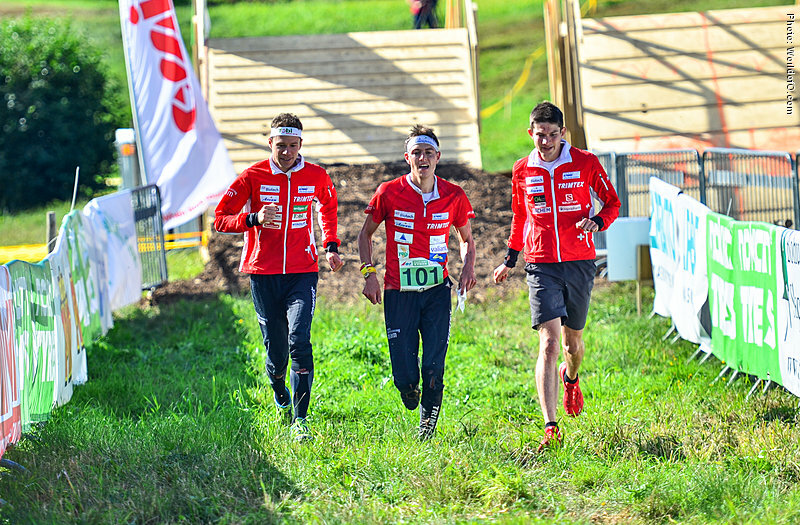 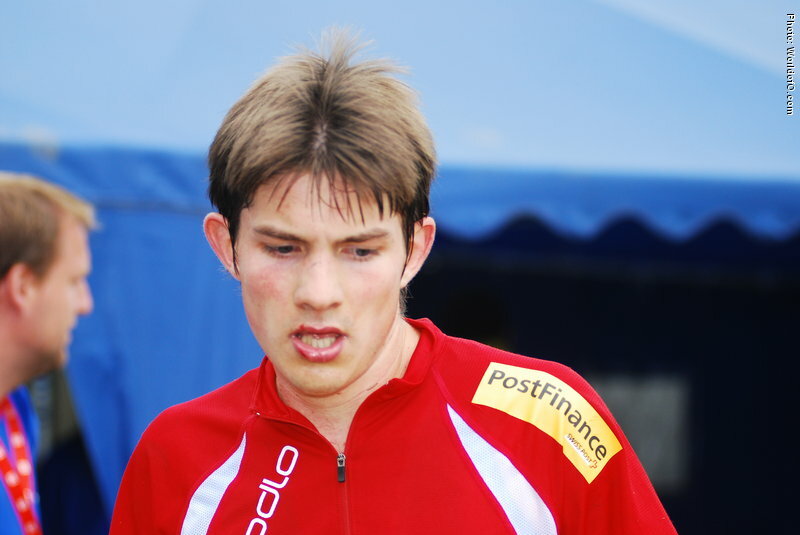 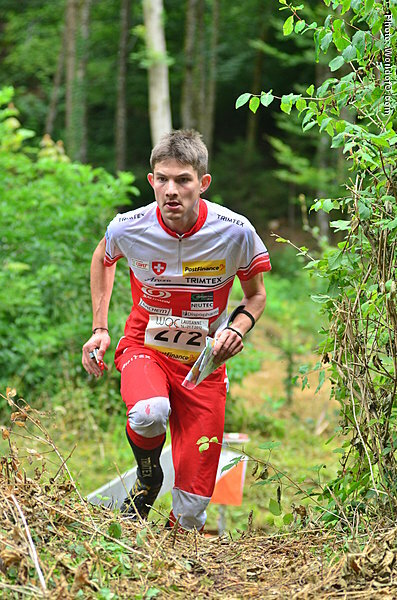 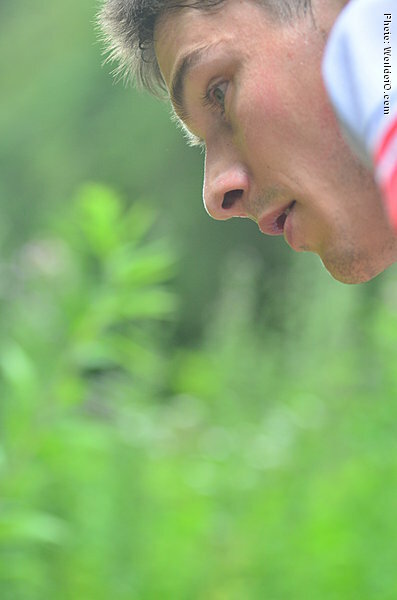 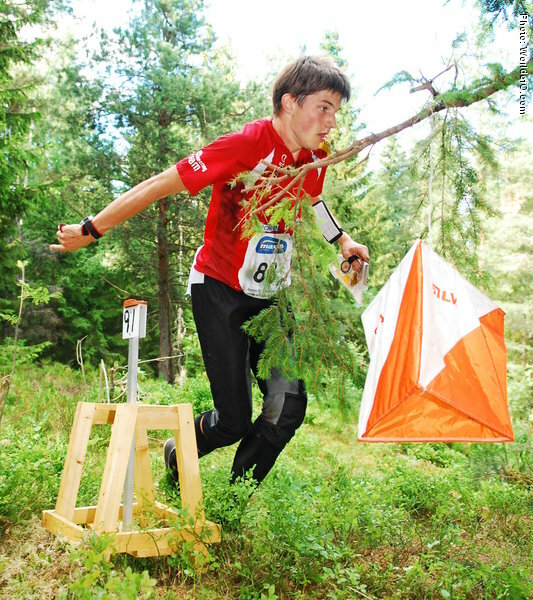 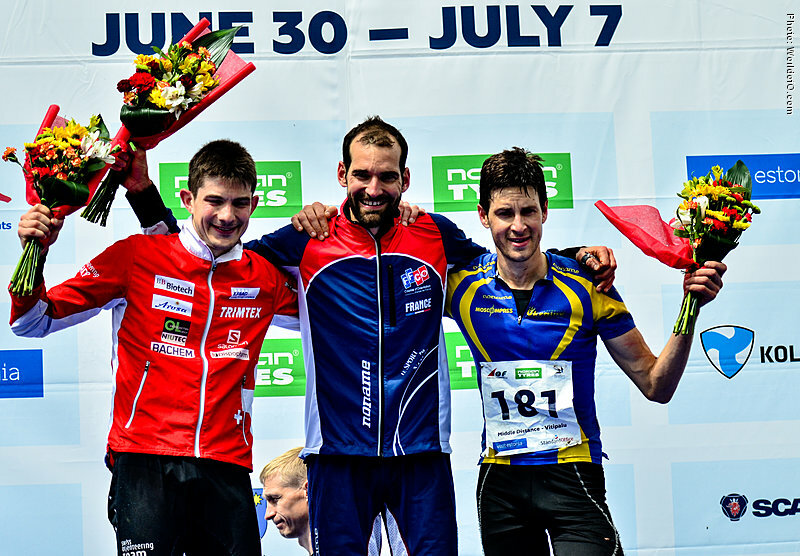 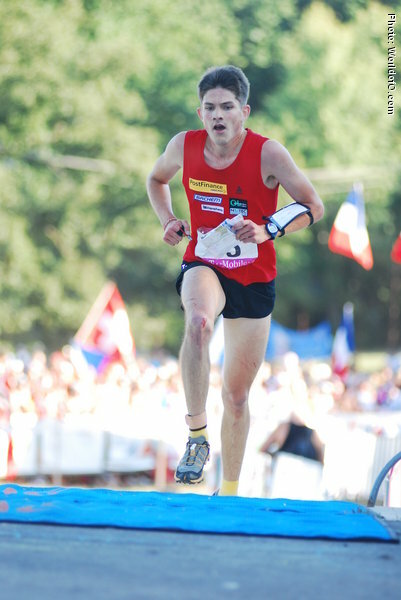 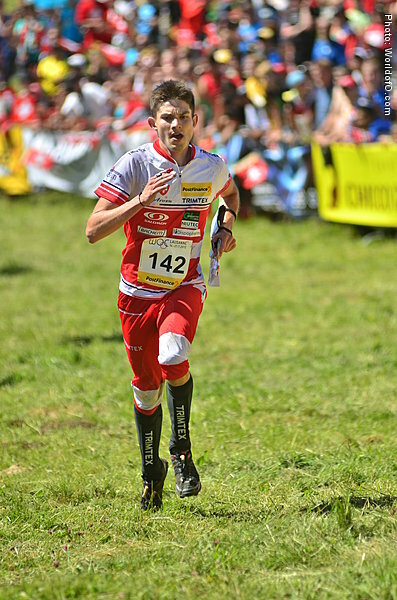 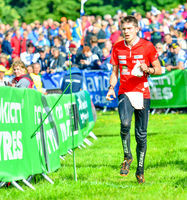 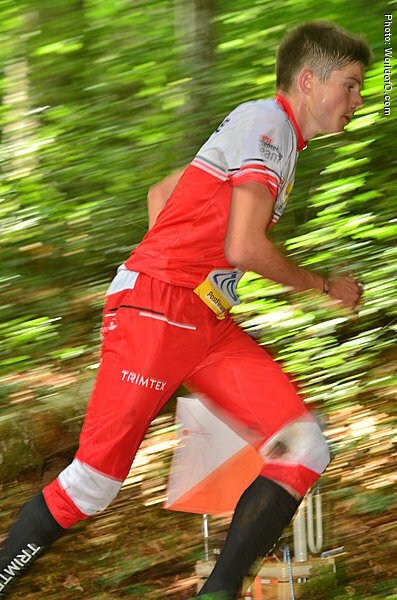 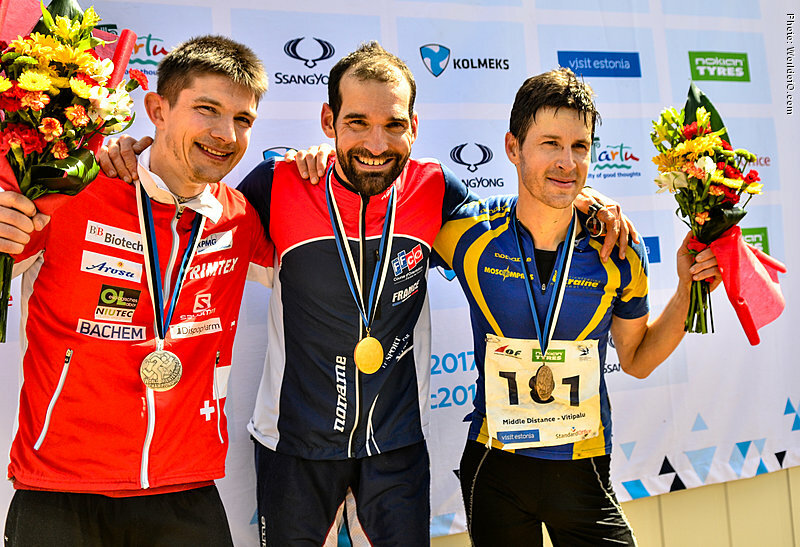 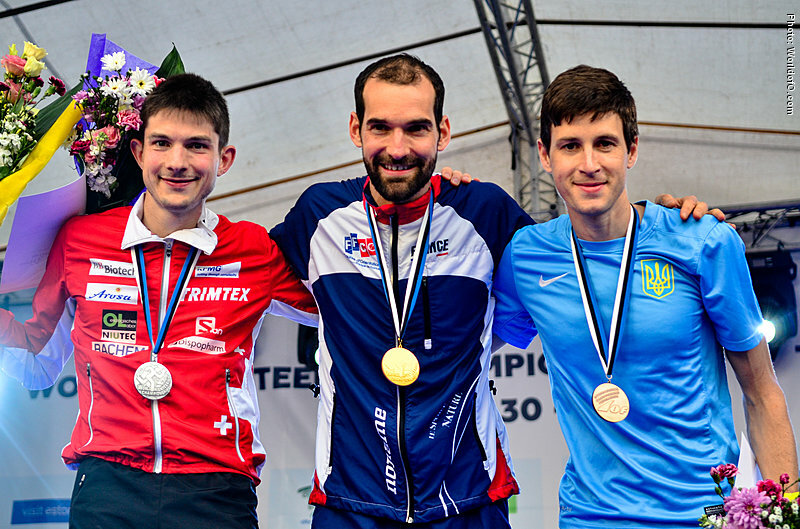 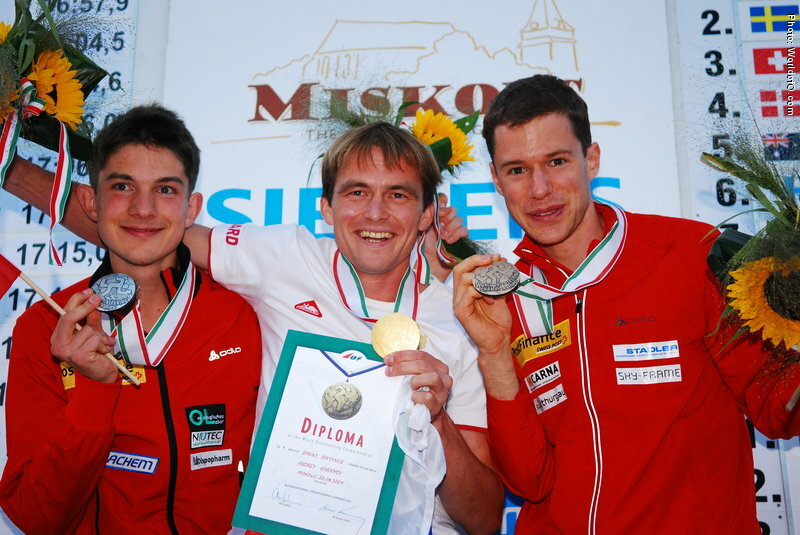 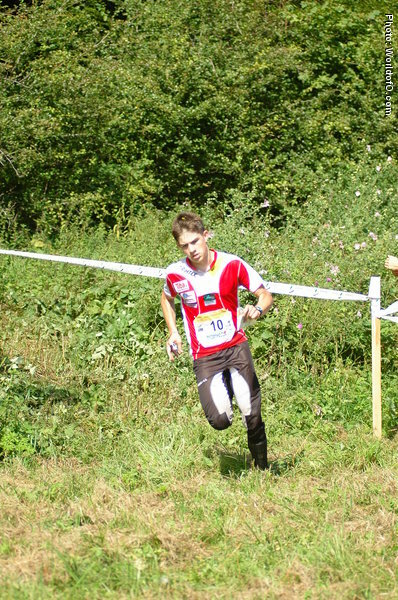 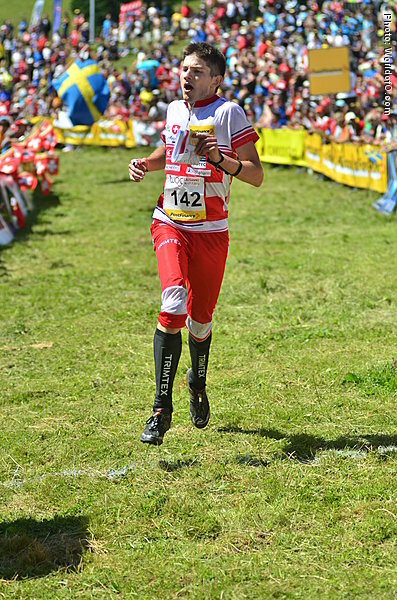 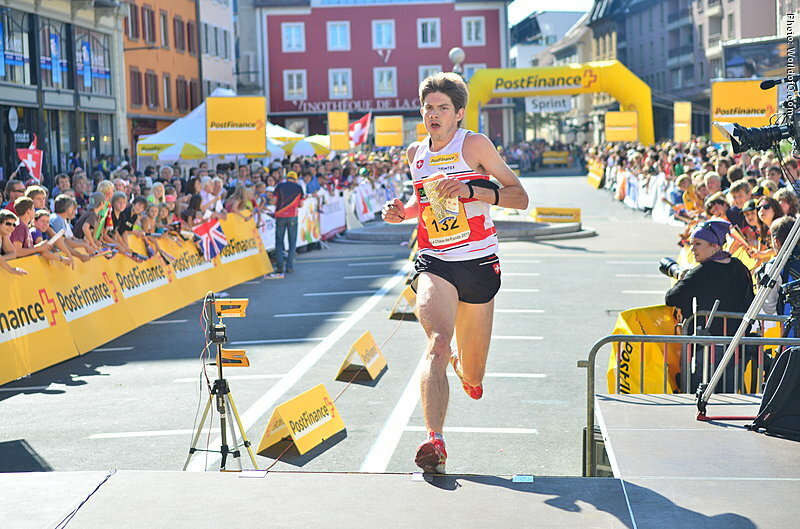 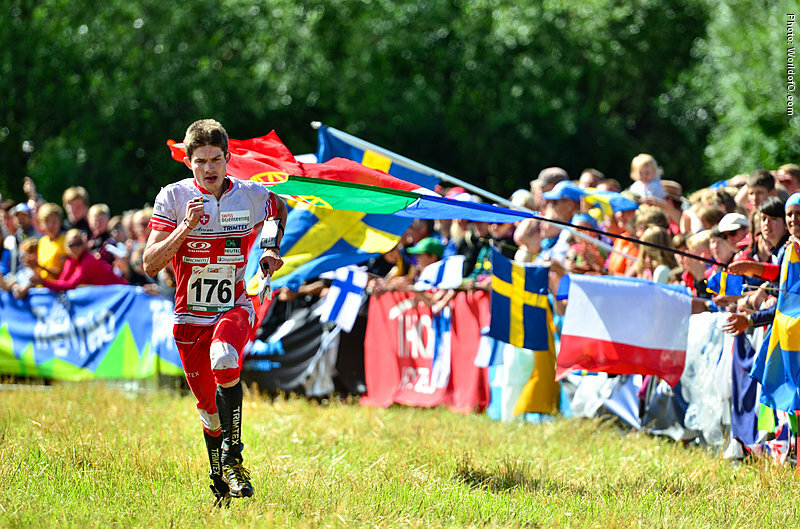 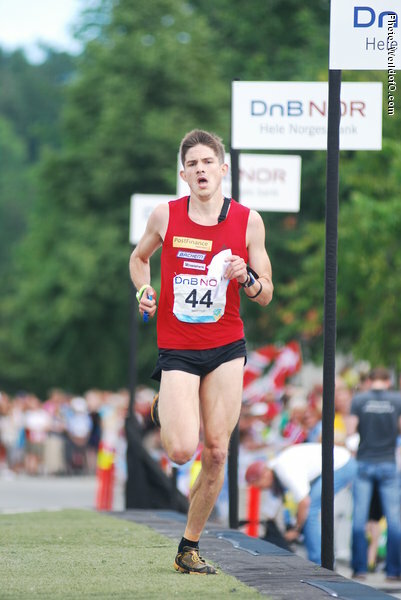 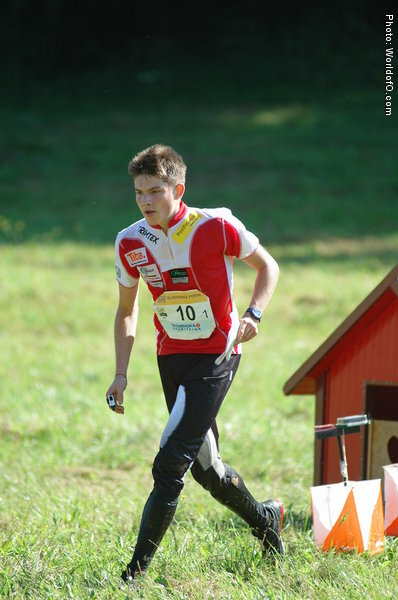 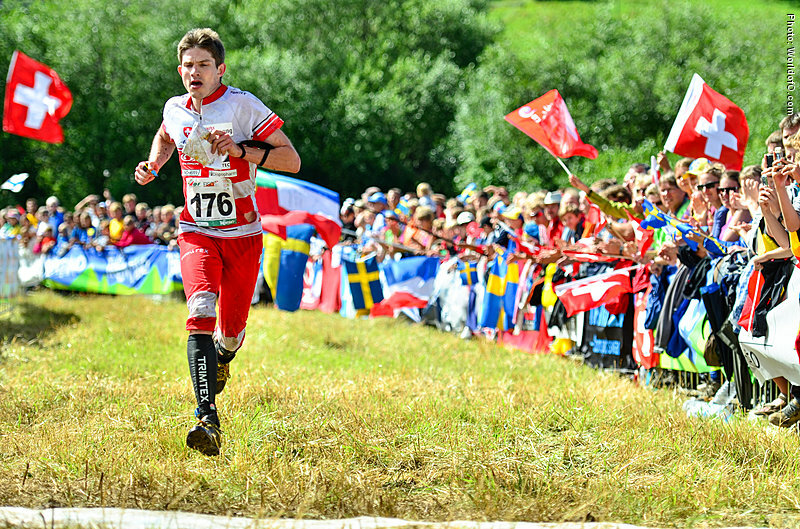 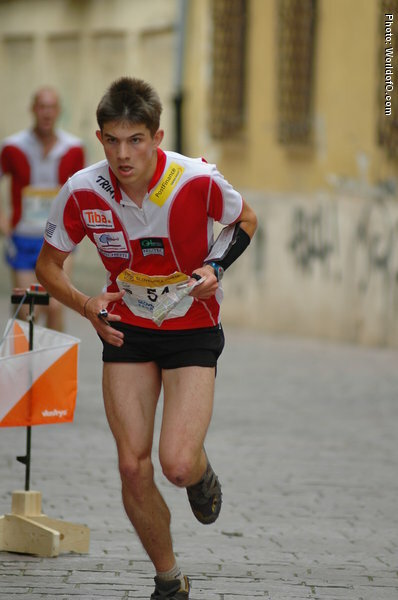 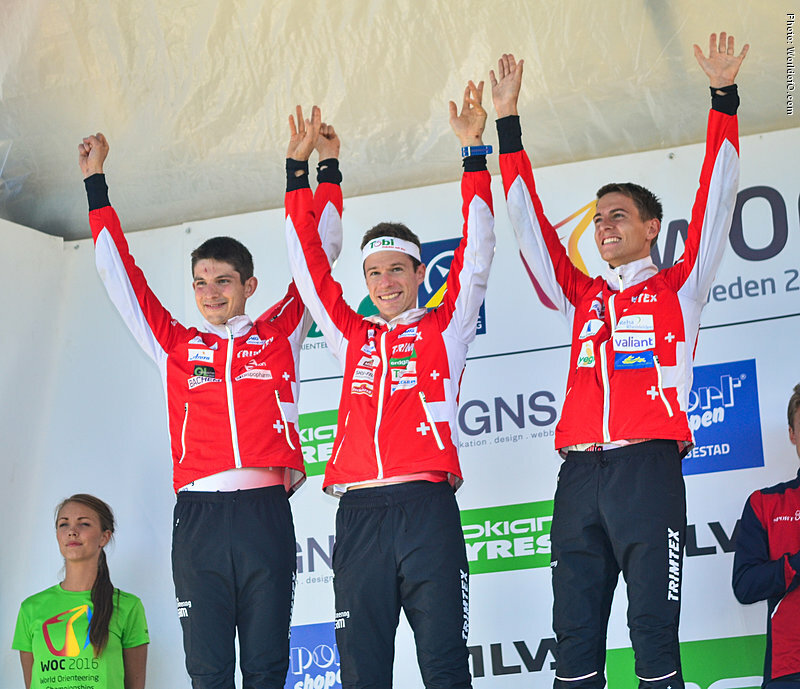 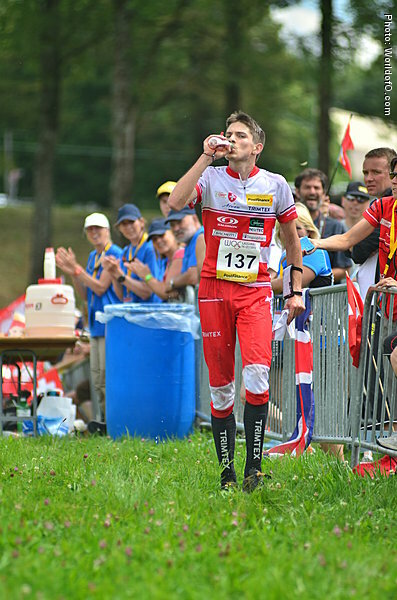 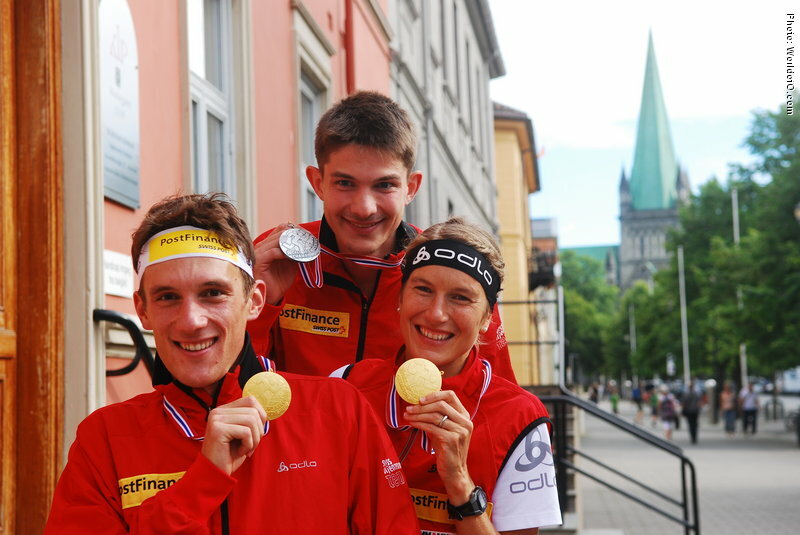 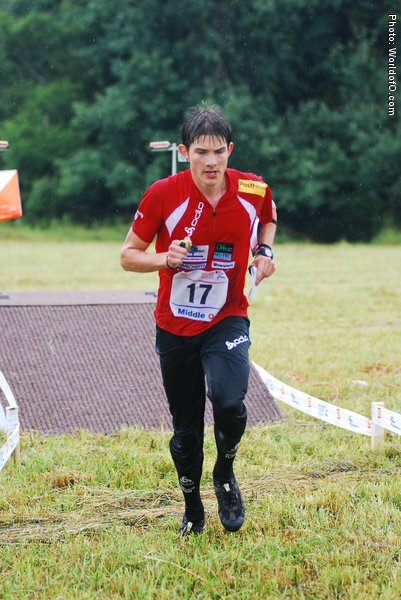 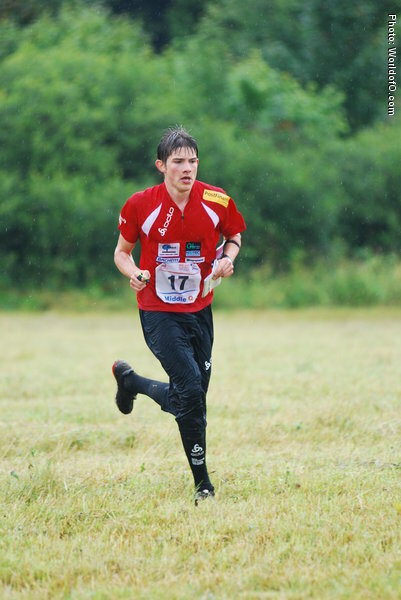 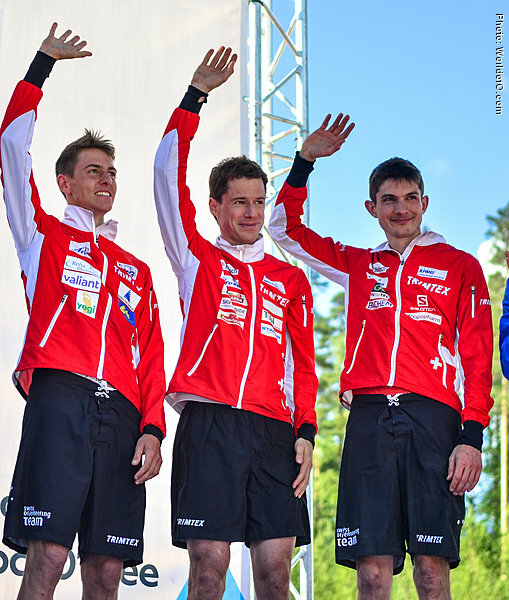 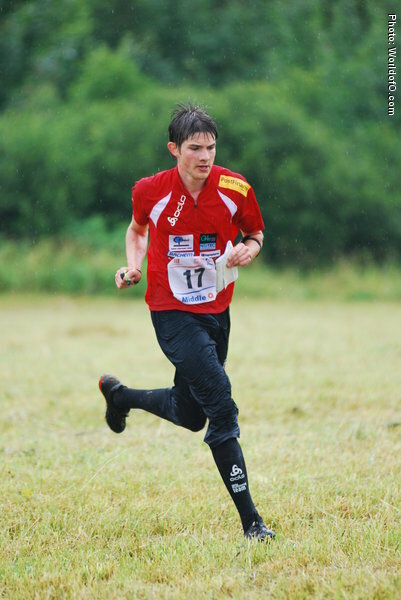 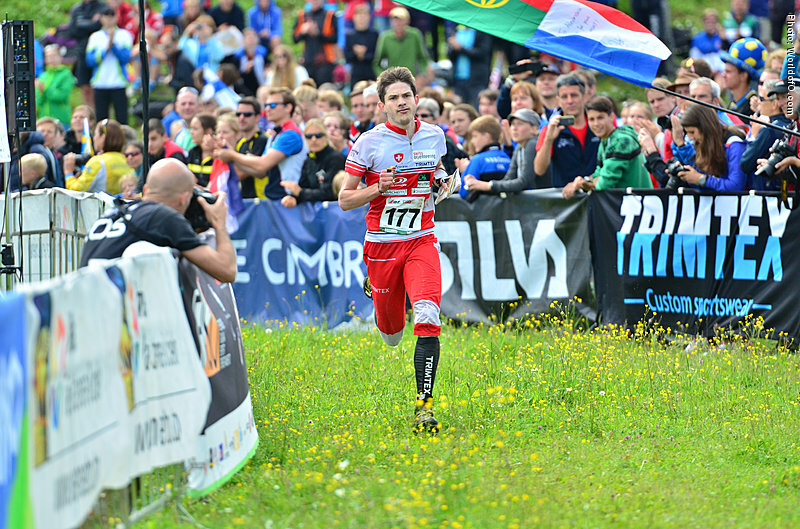 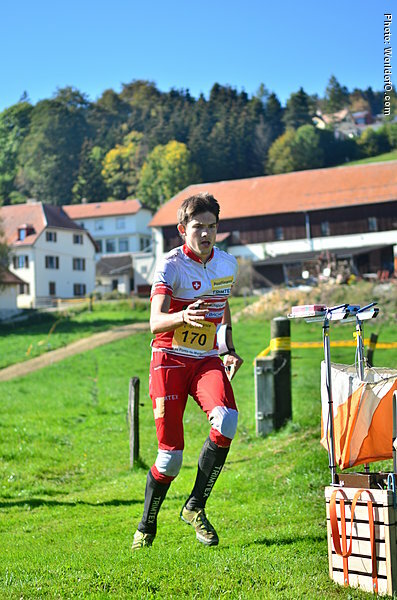 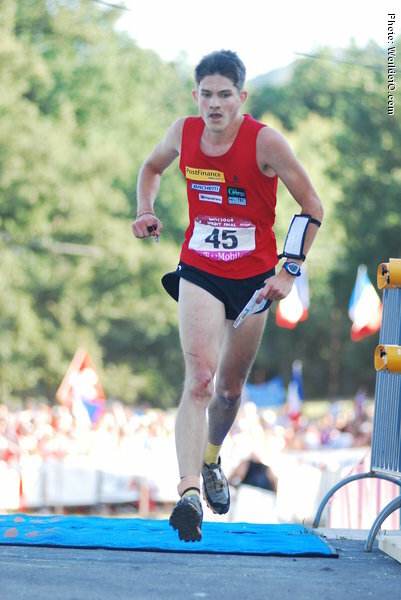 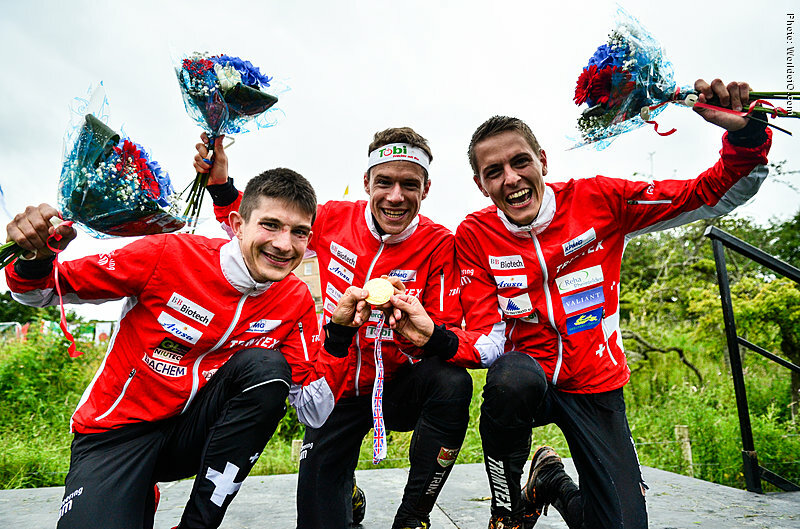 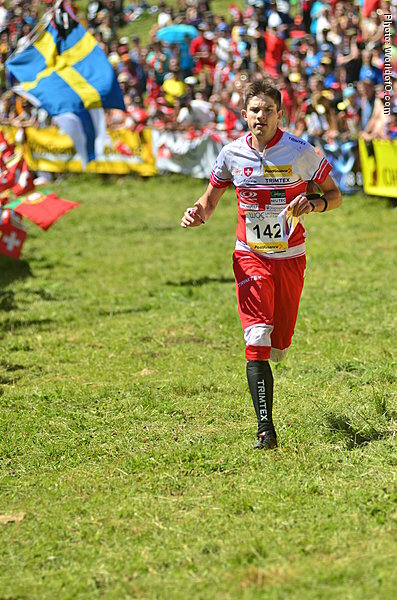 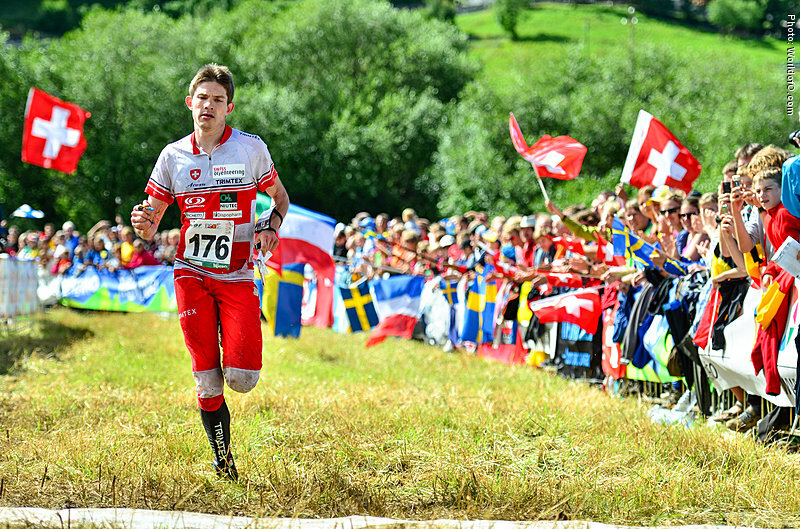 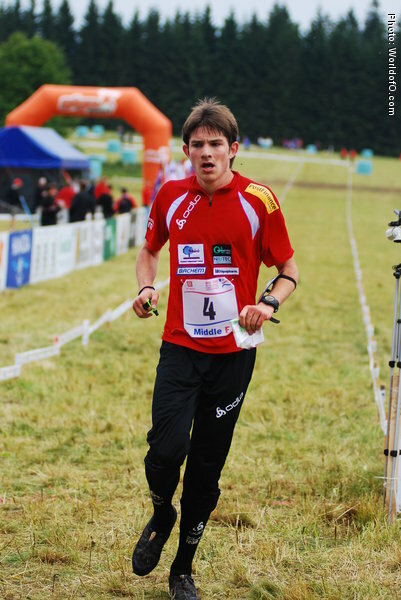 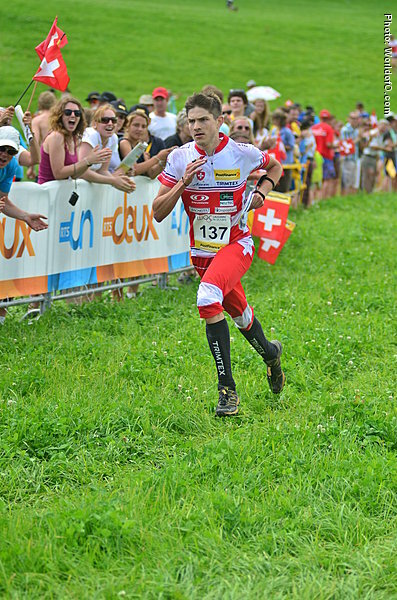 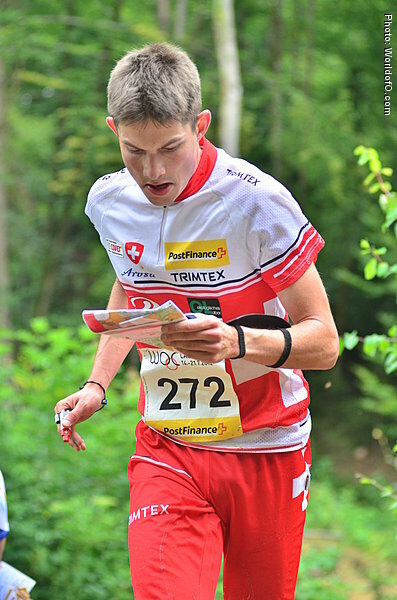 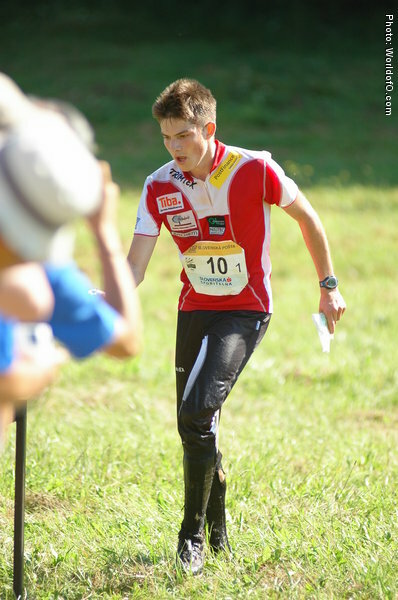 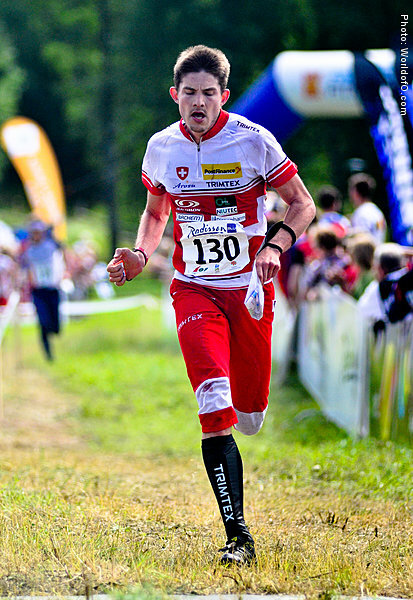 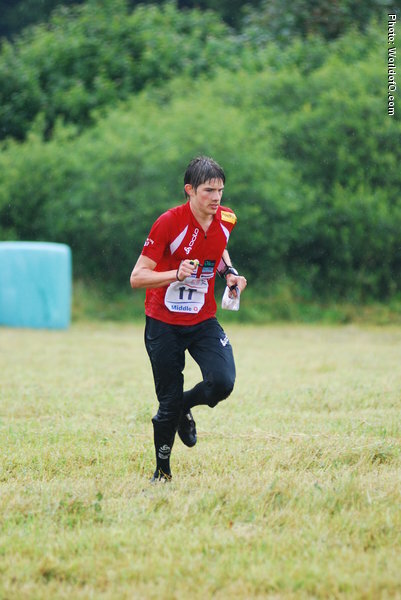 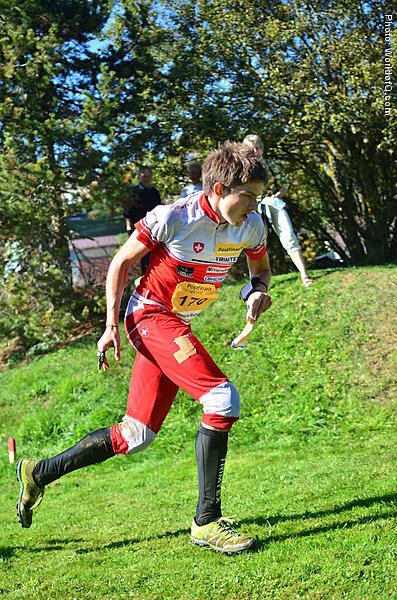 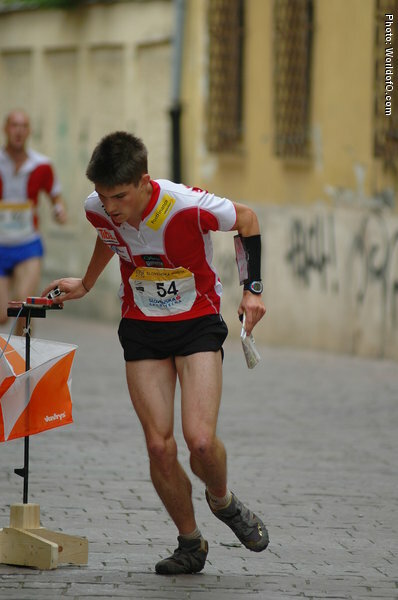 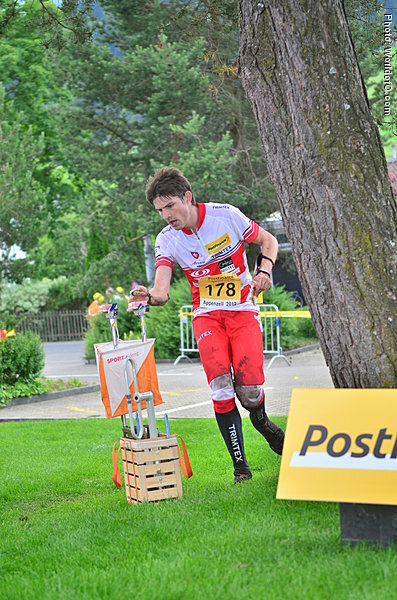 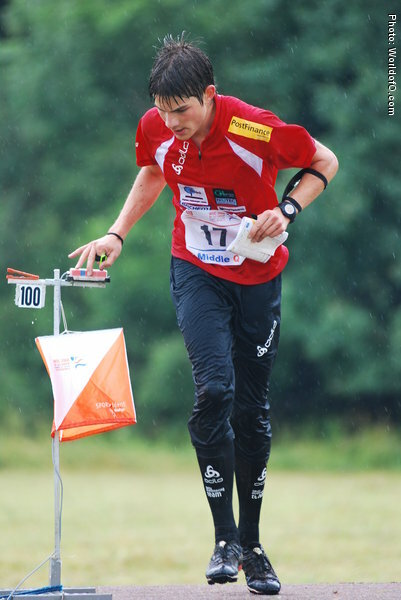 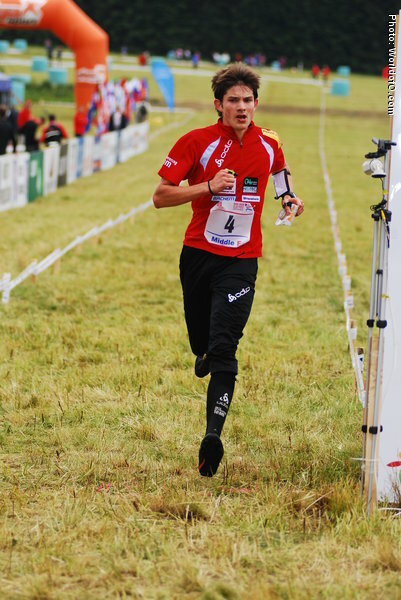 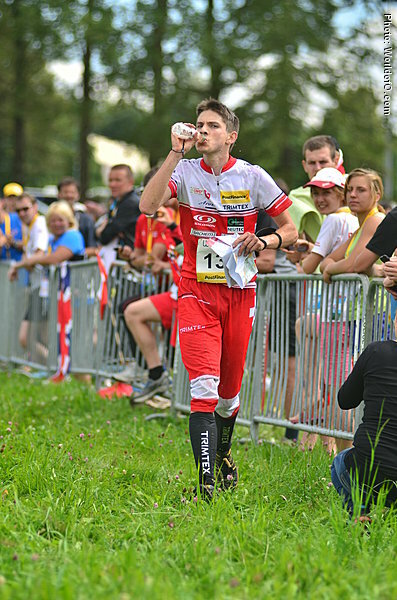 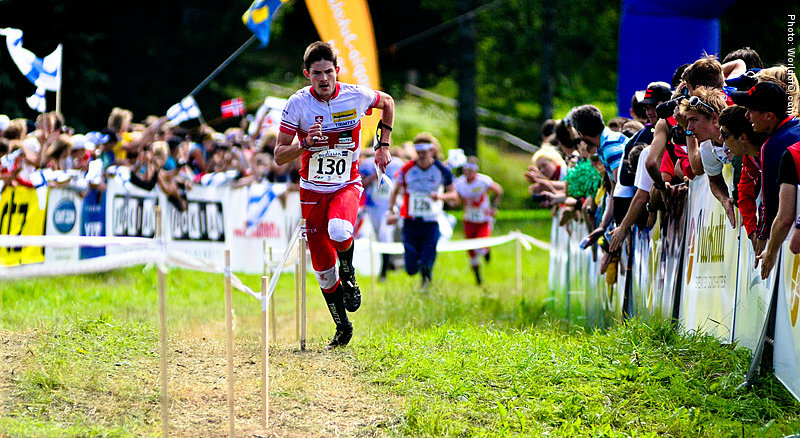 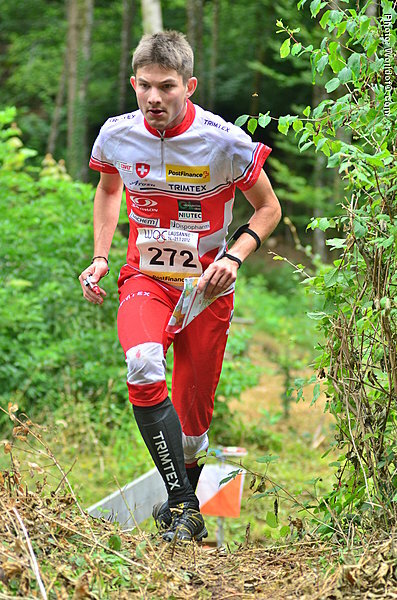 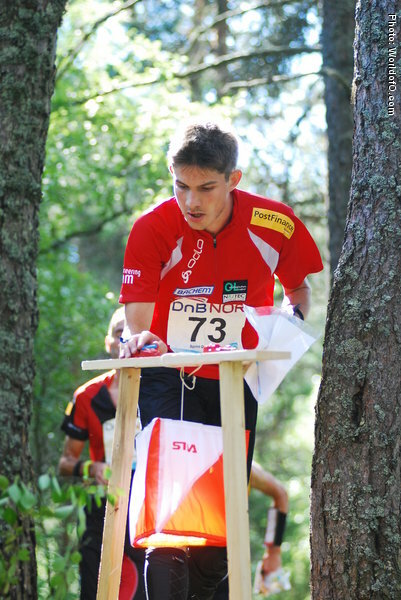 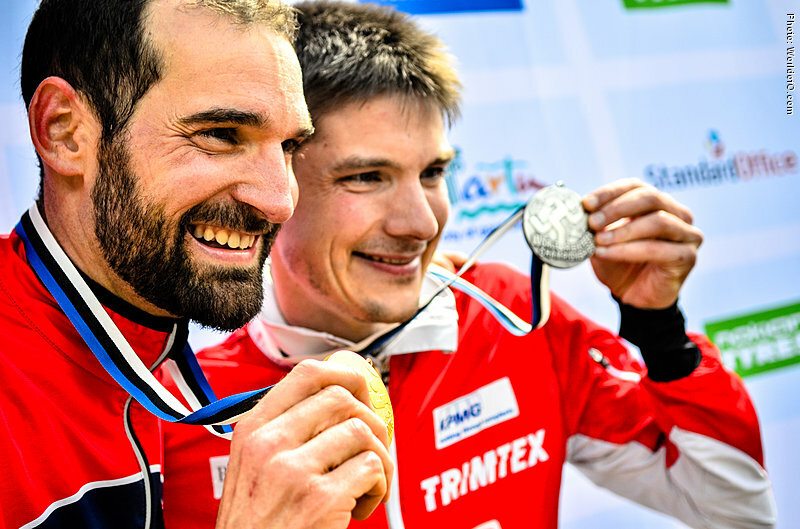 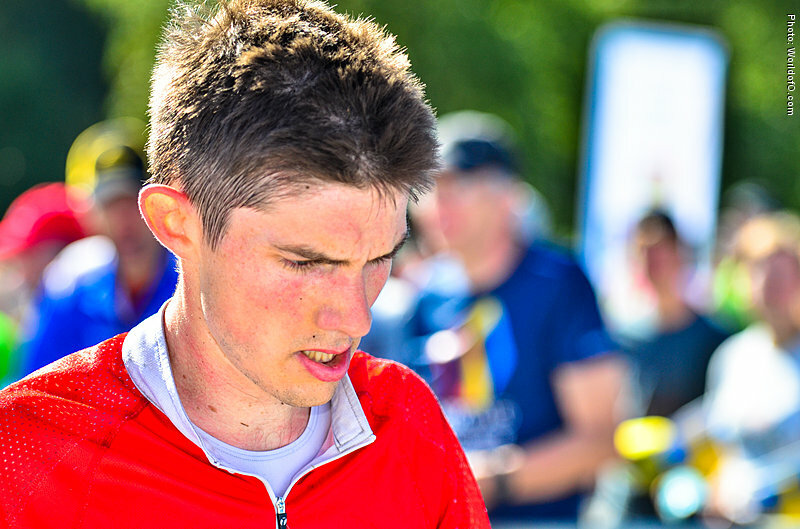 More and more stable again, he fulfilled his comeback with his 3rd place in middle at the WOC 2012 in Switzerland. In 2013 he re-approached the top level winning the middle distance at the World Cup in NZL and the Knock-Out-Sprint at the NORT 2013. 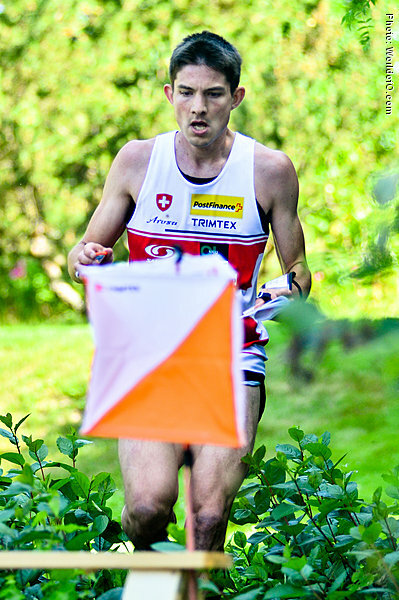 In the same year at WOC in Finland he showed stable race in Sprint and Middle Distance, taking a 4th and a 5th place. 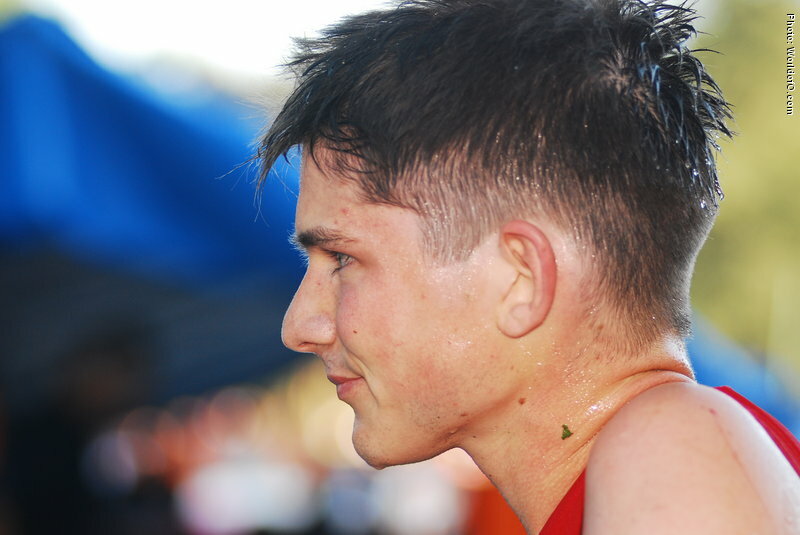 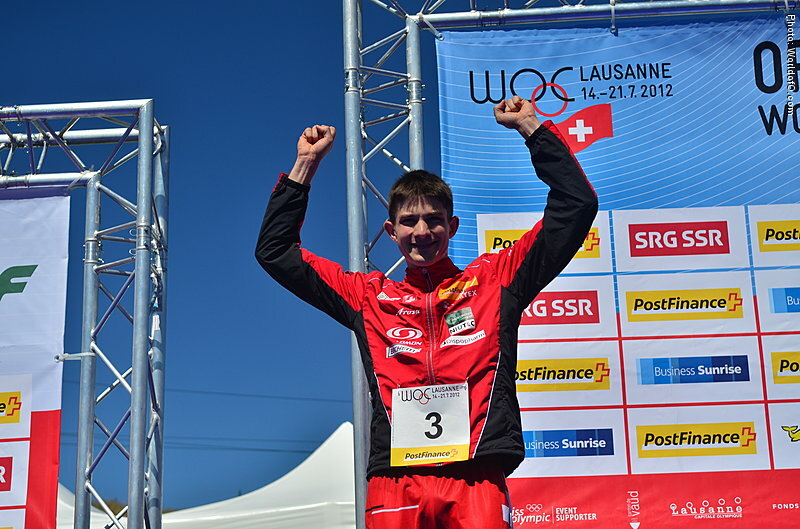 2014 was his best season so far, with two silver medals in middle and relay and and a 4th position in the long at WOC in Italy, and a silver medal in the middle and another 4th in the long at EOC in Portugal. 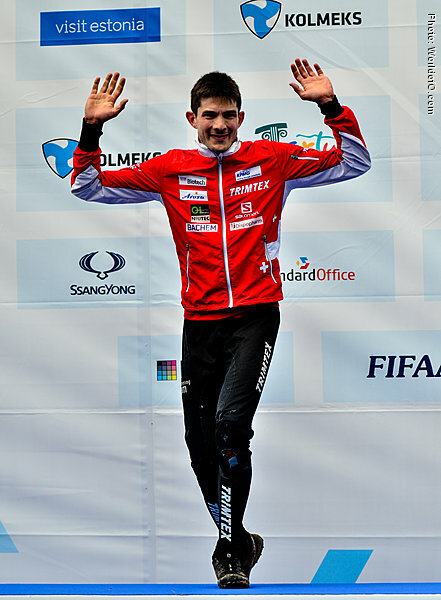 He finished the season on the 2nd place in the overall World Cup. 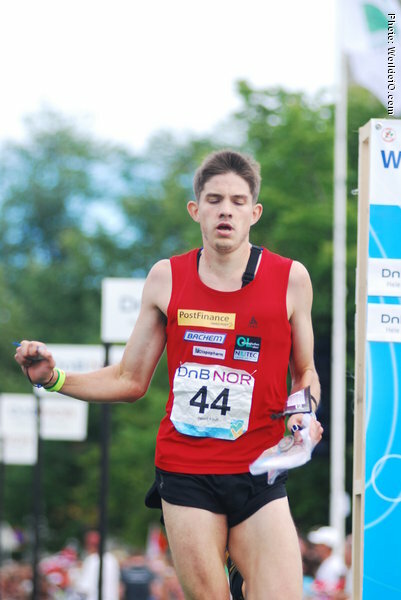 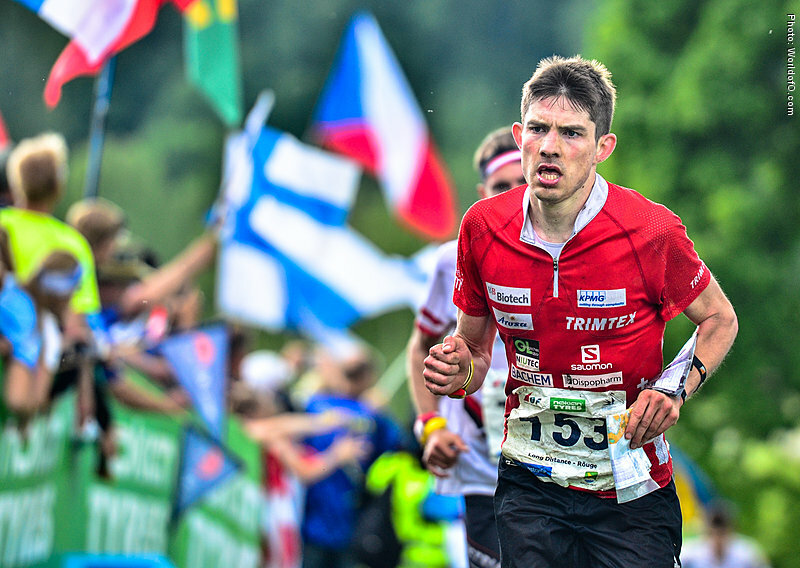 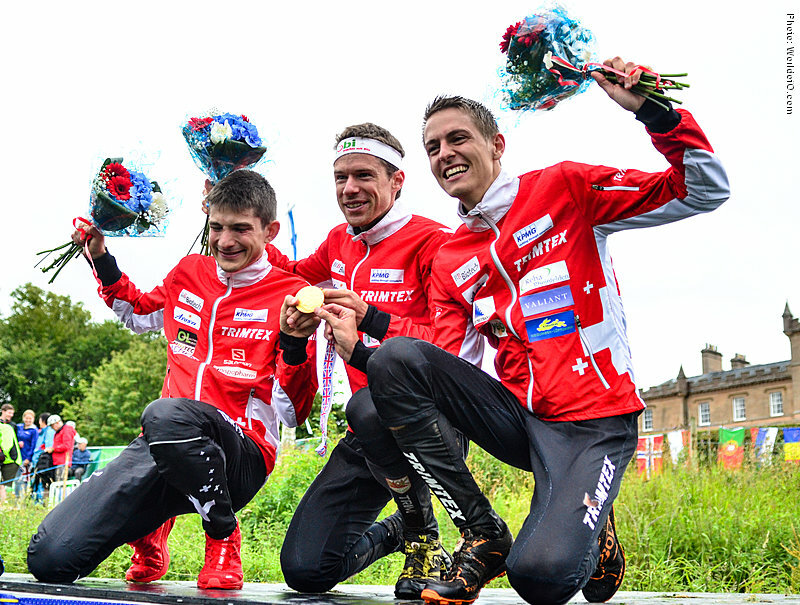 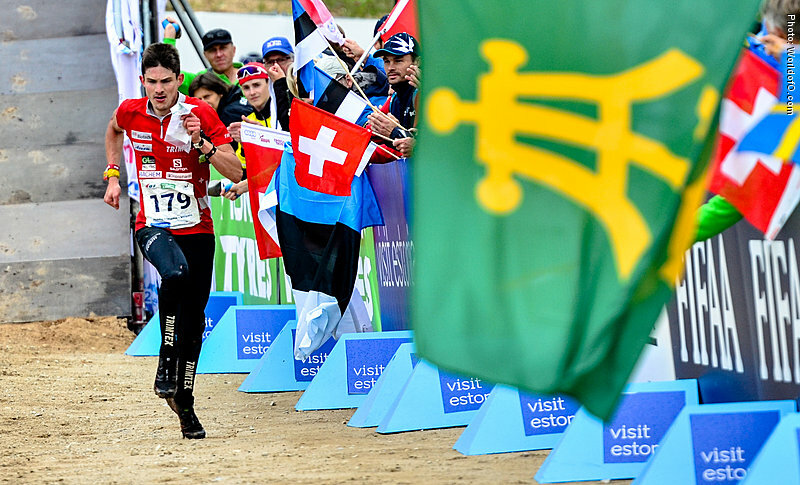 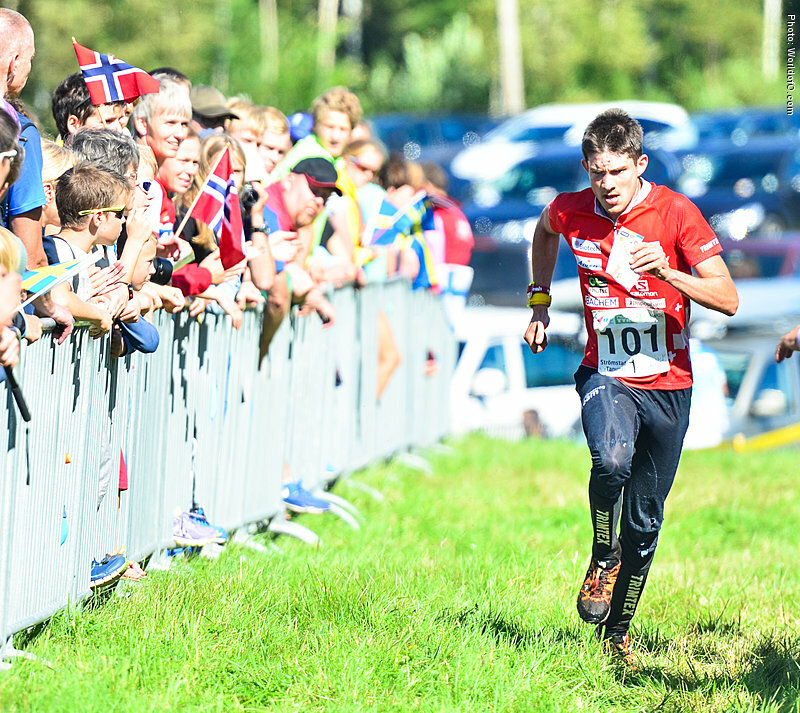 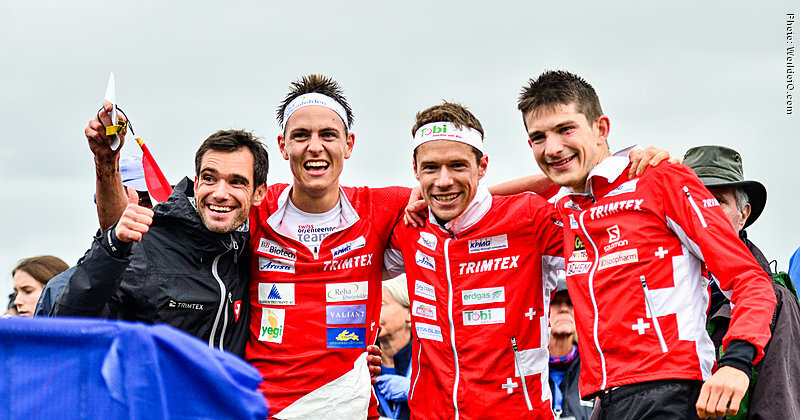 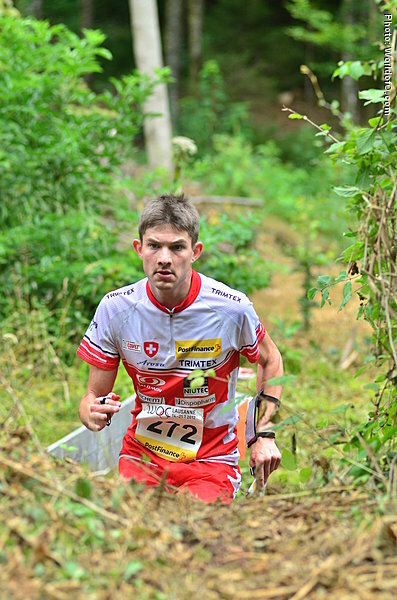 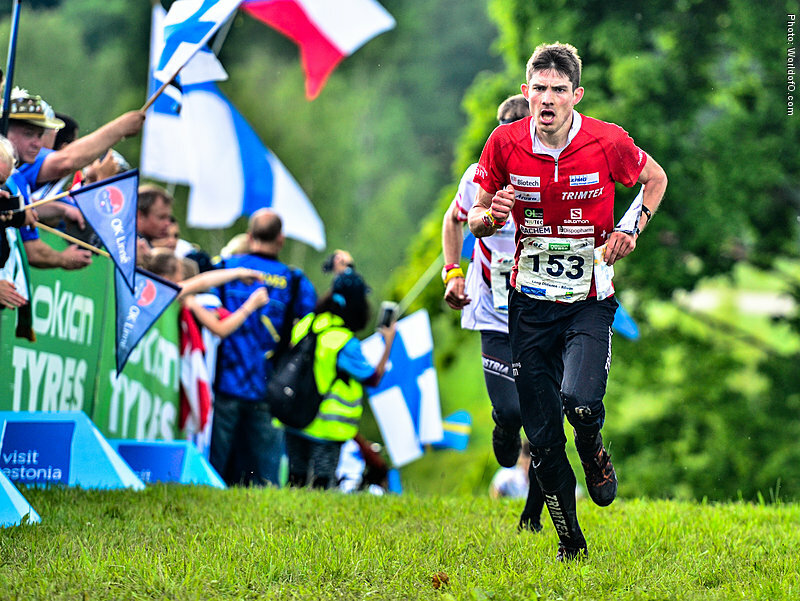 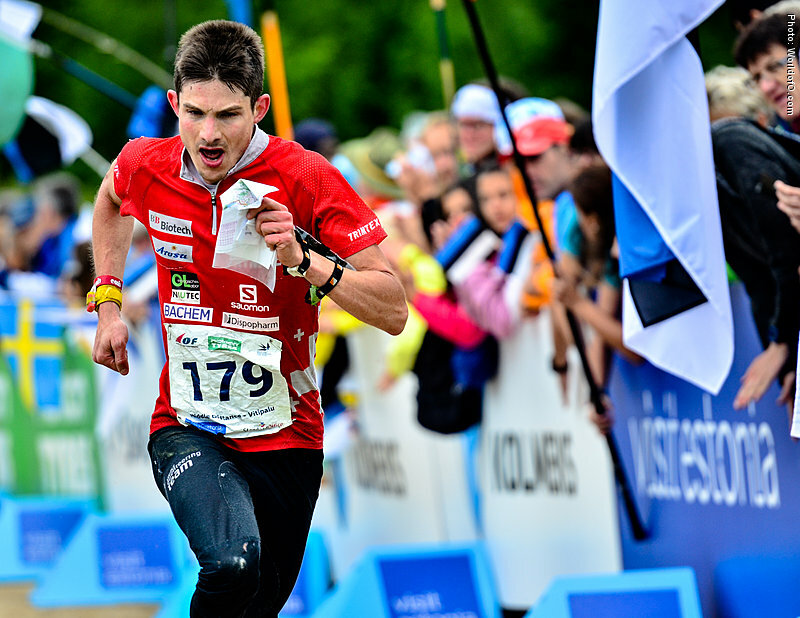 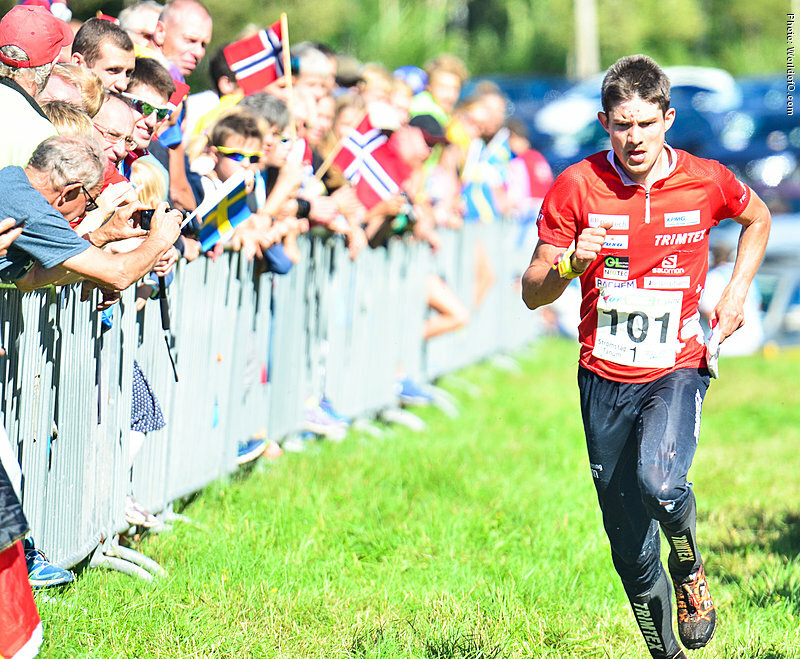 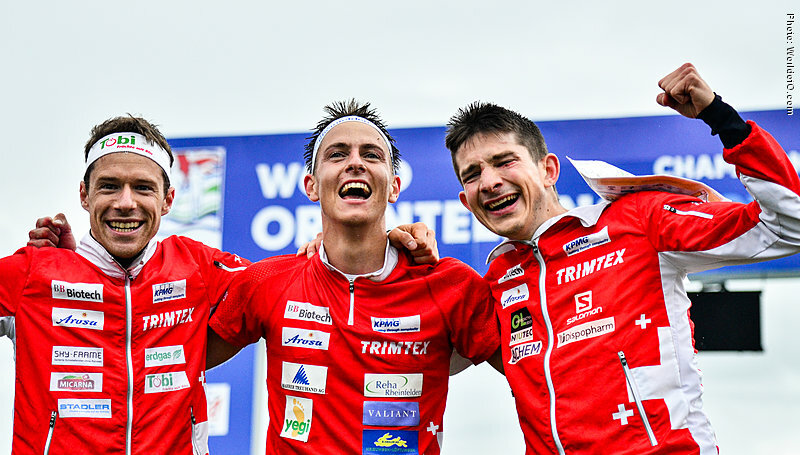 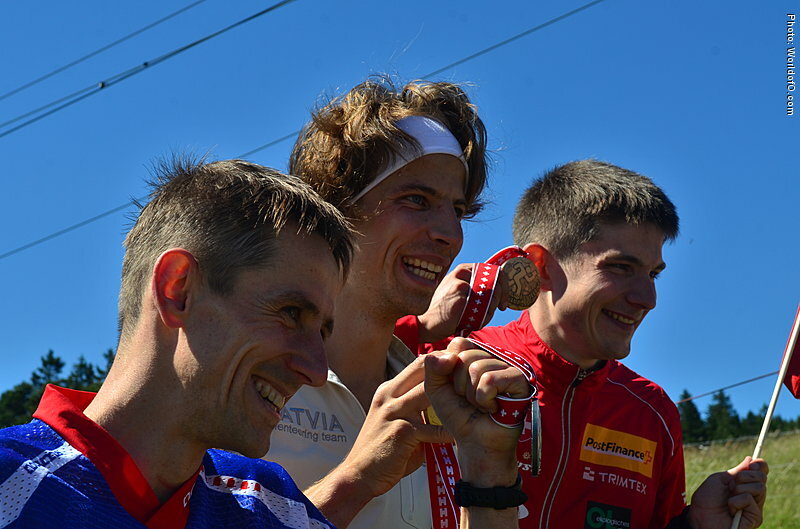 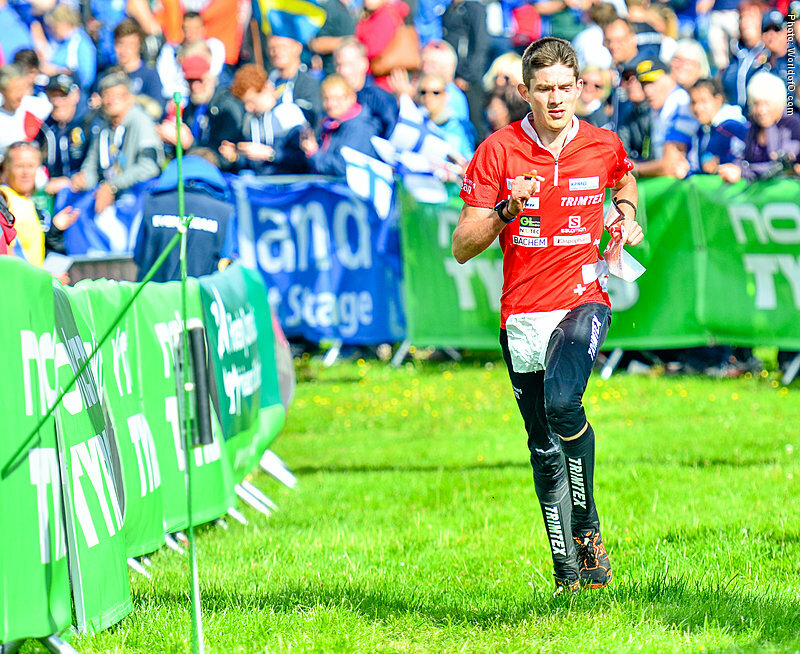 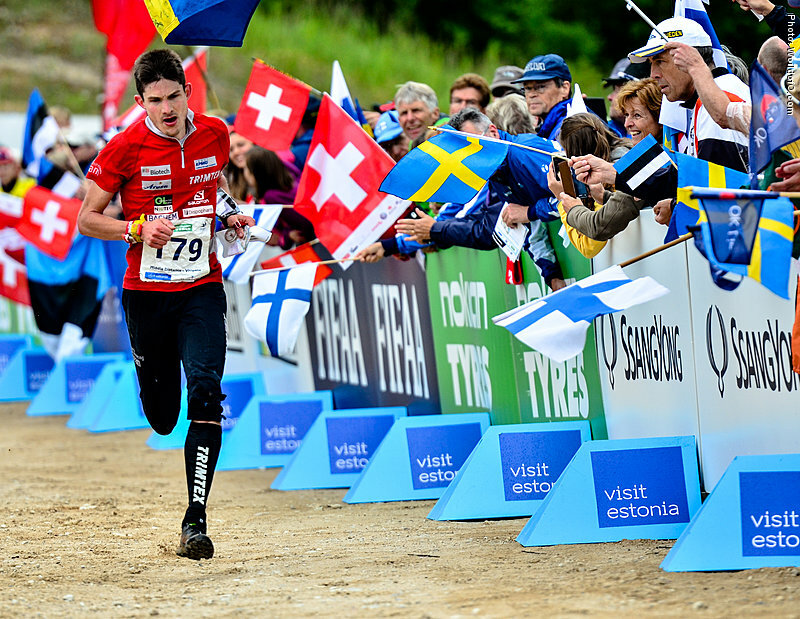 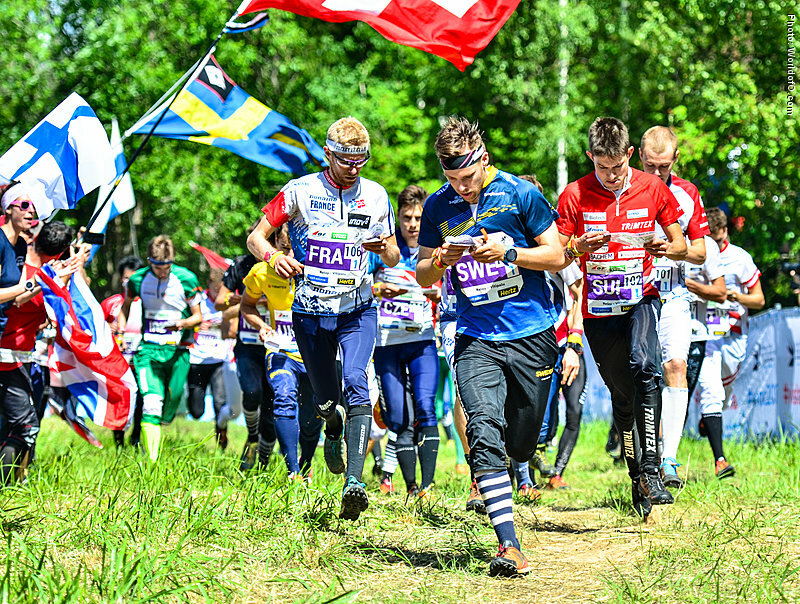 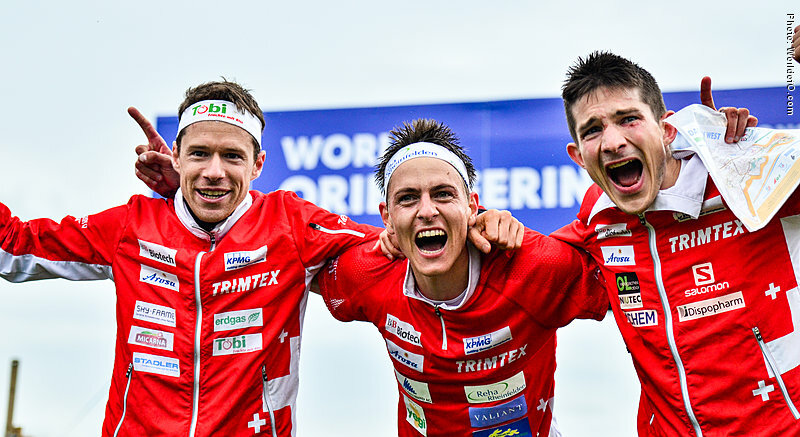 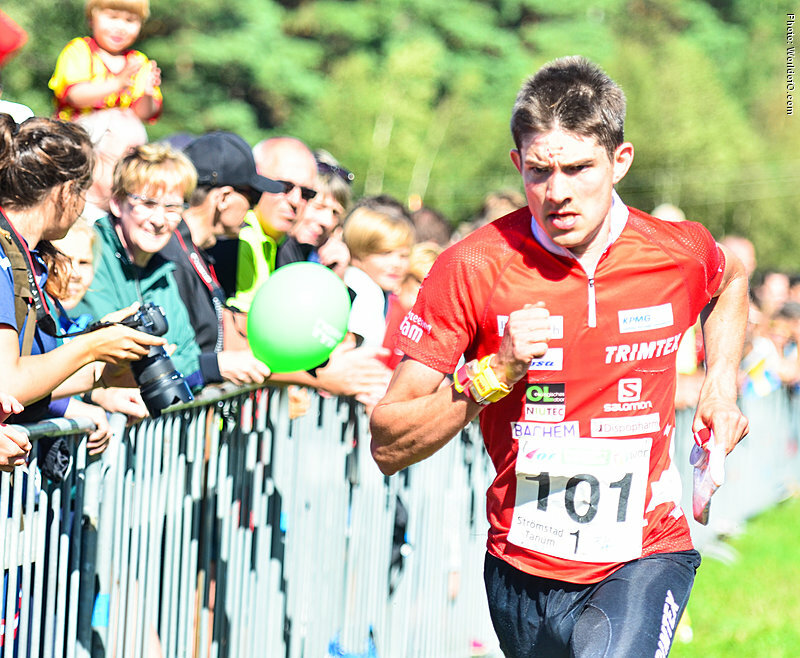 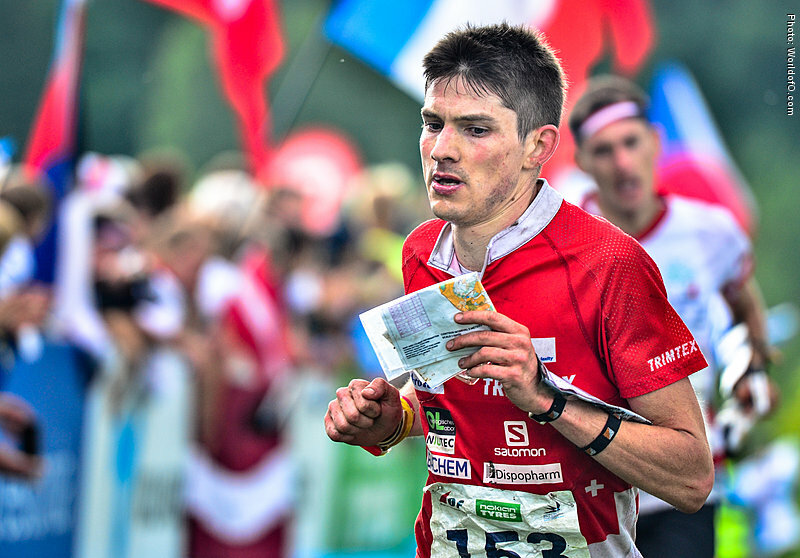 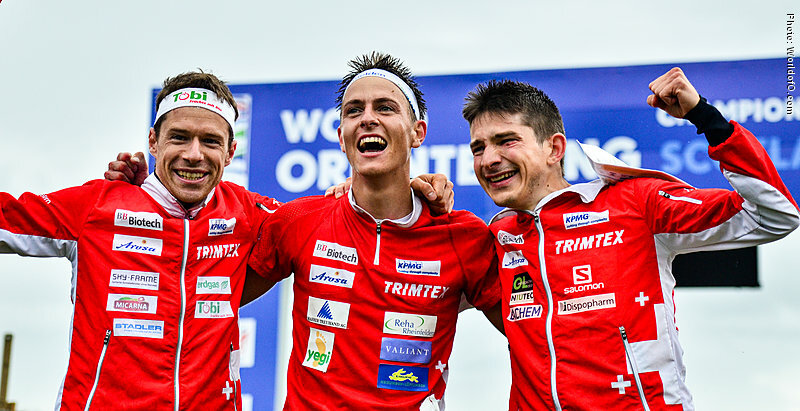 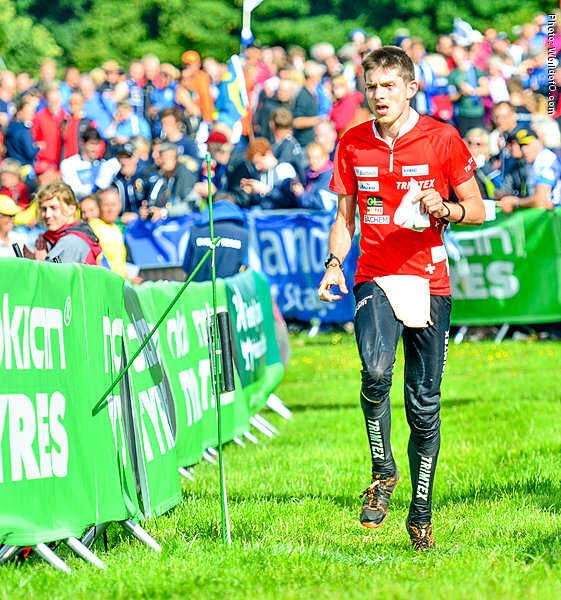 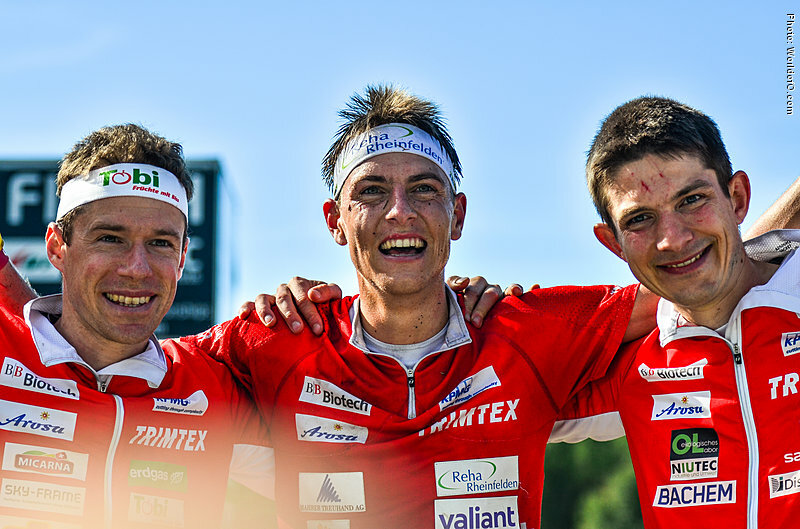 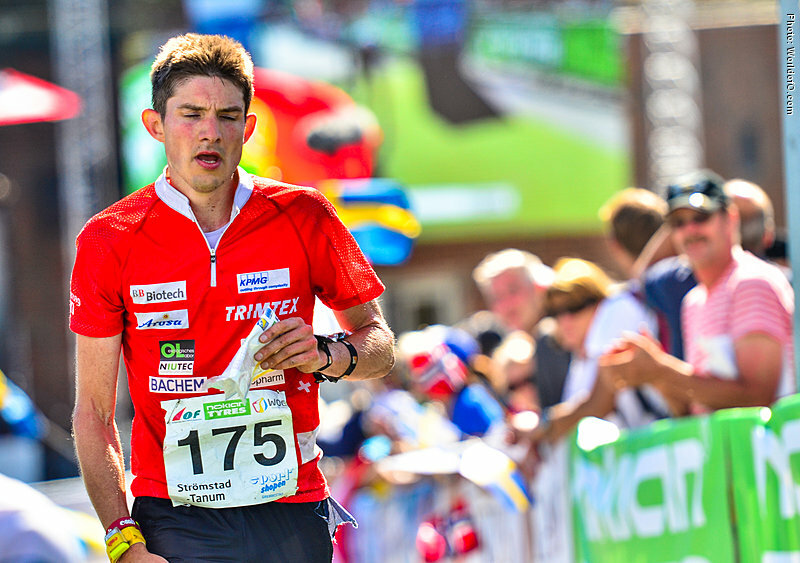 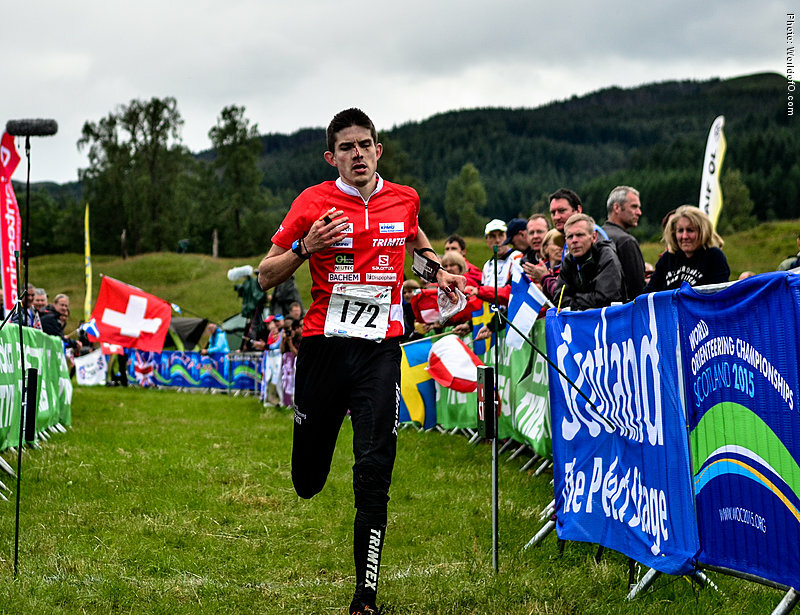 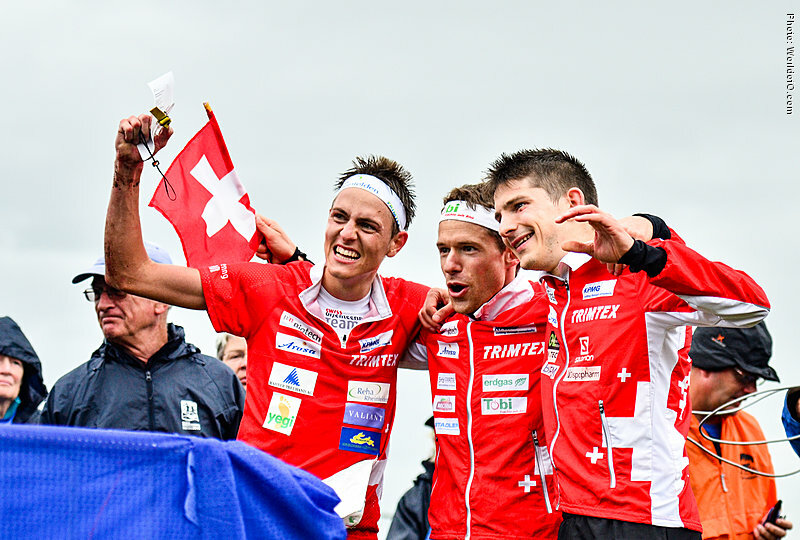 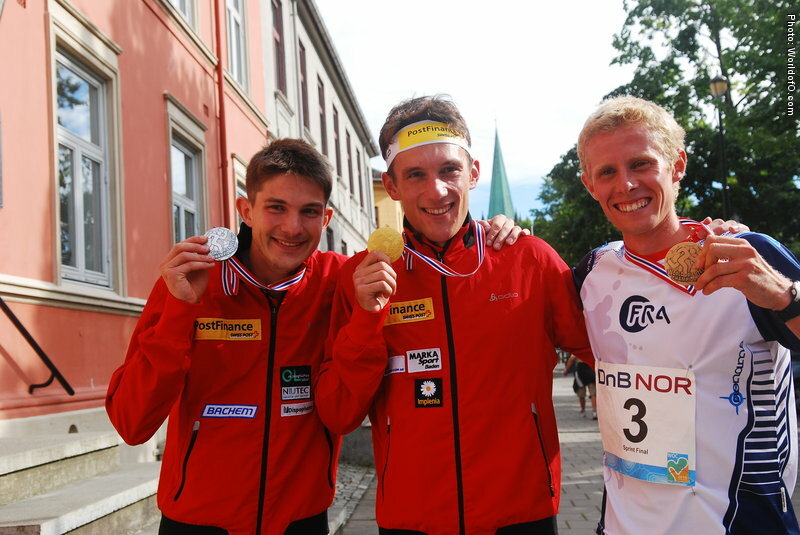 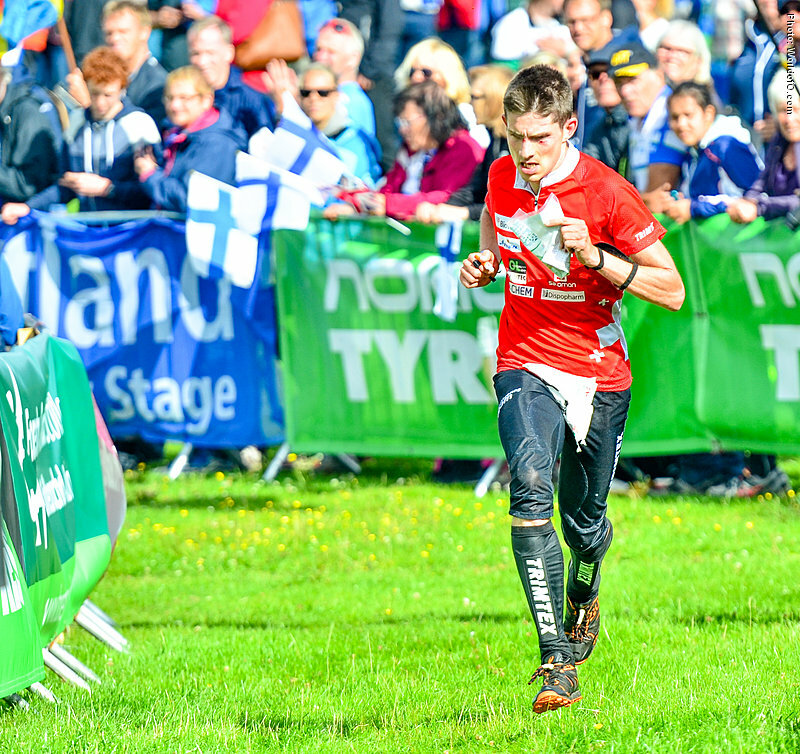 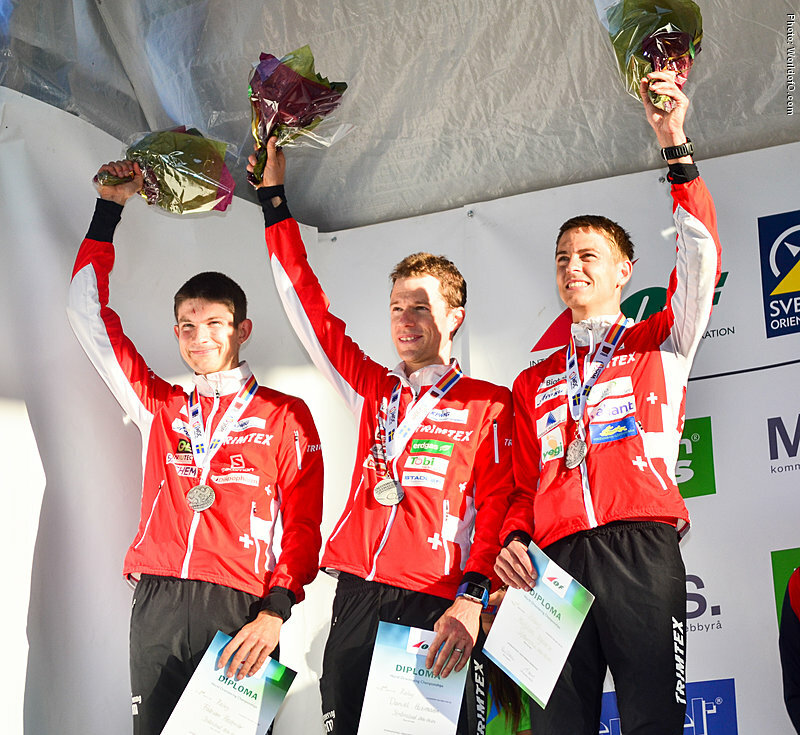 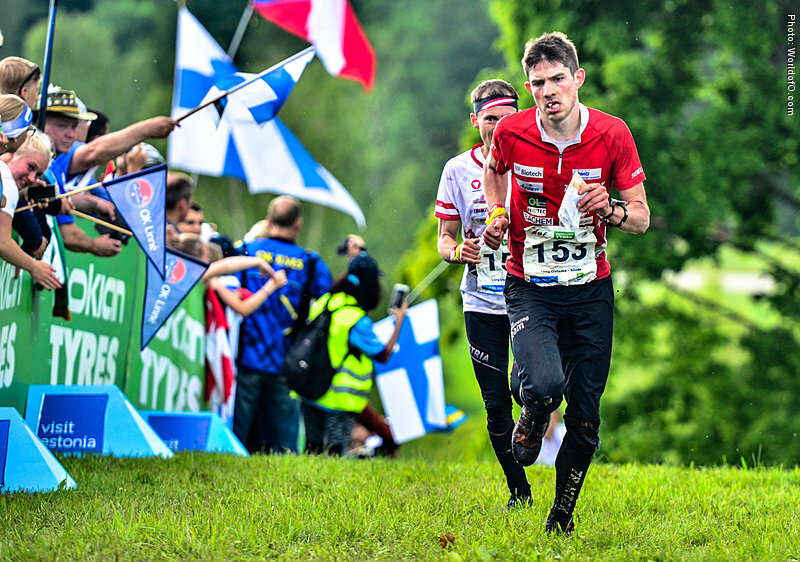 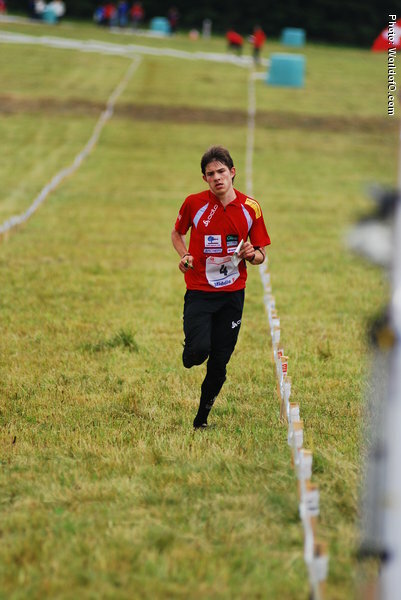 Relay World Champion at WOC 2015 in Scottland as well as two 5th places in Middle and Long. 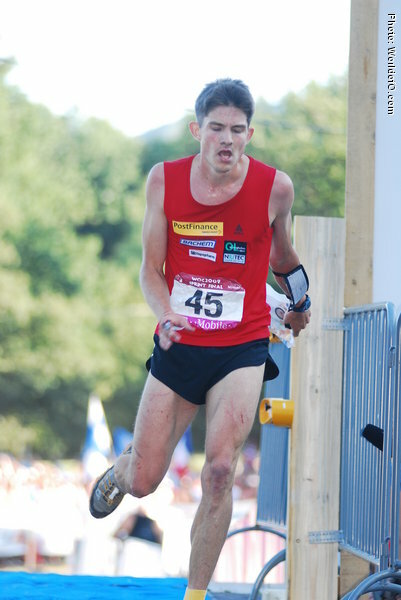 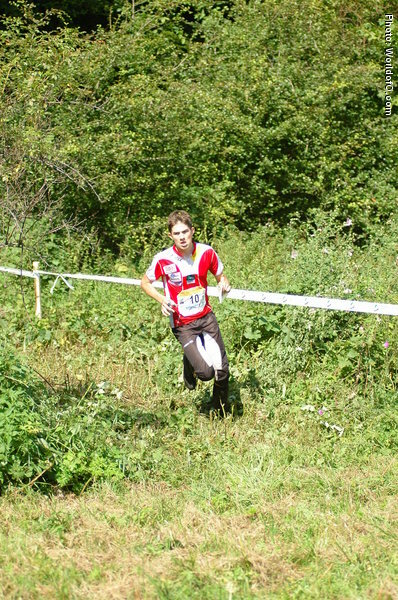 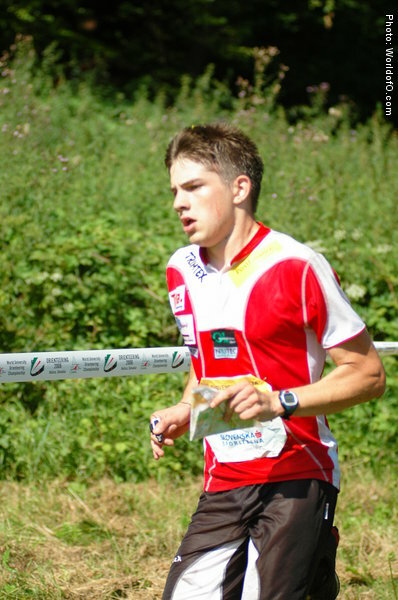 On top already as a junior with JWOC-gold in middle on homeground in 2005. 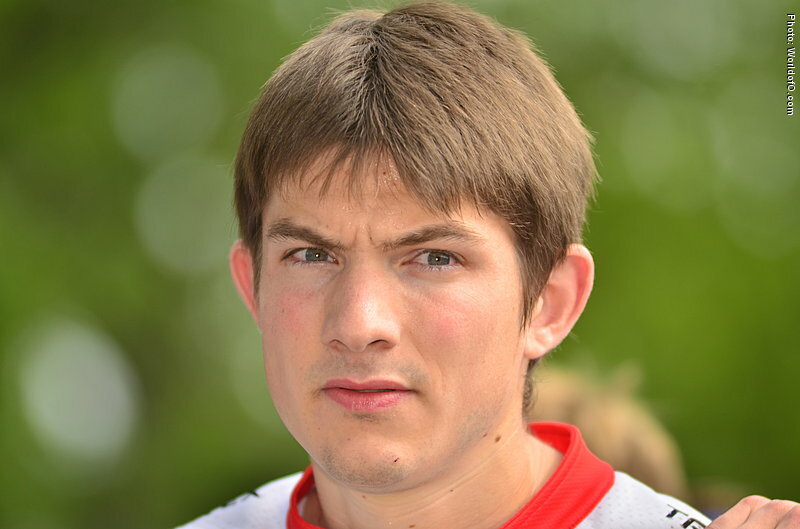 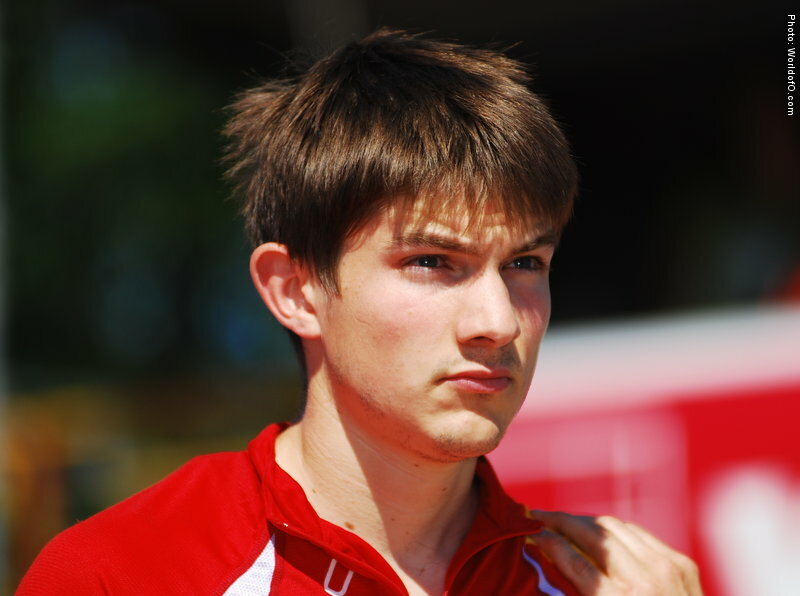 Fabian Hertner (162 times) .